Posted: Friday, April 24, 2010 at 01:20 PM UTC | Updated: December 31, 2010. Bet-Nahren, Assyria (AIM) — In 1932, Iraq was admitted into the League of Nations (now known as the United Nations) on the basis this new country would ensure the rights of its indigenous minority populations. It did not take long to break that written and signed promise to the international community. In 1933, the Iraqi army together with the Kurds, committed its first state-sponsored genocide operation against the Assyrians in Simele and throughout the 65 surrounding villages. The Simele Genocide was one of many systematic mass murders endured by the indigenous Assyrians. From 1843 to 1945, the Turks, Kurds, Arabs and Persians committed genocides against the Assyrian nation and other Christian peoples in Asia Minor [Middle East]. History reminds us that when the British mandate on Iraq ended in 1932, it was followed by a genocide of the Assyrians. The U.S. mandate is scheduled to end in 2011, and will leave the Assyrians in the midst of a certain civil war between the Shiaa, Sunni and Kurdish populations. Ultimately, the indigenous Assyrians will continue to be 5th-class citizens and be at the mercy of Islamic-based republics, until the United Nations and the victorious Allies complete their – work of humanity and appeasement – as promised to the Assyrians ["Our Smallest Ally"]. The Assyrians continue to be religiously and ethnically persecuted in the Middle East due to Islamic fundamentalism, Arabization and Kurdification policies, leading to land expropriations and forced emigration to the West. This chronological list of oppression, harassment, intimidation and murder is sectioned by year. Unfortunately, this list reflects only the reported acts, since many other violent crimes are not reported due to the threat of repercussions by Islamists and Kurdish authorities. visit the Bet-Nahren, Assyria news section. Coffins of slain Christians, Fawzi Rahim, 76, left, and Janet Mekha, 78, right, are seen during their funeral Mass at St. George Chaldean Church in Baghdad, Iraq, Friday, Dec. 31, 2010. Militants in Iraq have attacked at least four Christian homes with a combination of grenades and bombs, killing and wounding a few people and sending fear into the country's already terrified tiny Christian community, police said. The latest bloody attack on Iraq's Christians was brutal in its simplicity. Militants left a bomb on the doorstep of the home of an elderly Christian couple and rang the doorbell. Militants attacked at least four Christian homes Thursday night with a combination of grenades and bombs, killing two people and sending fear into the already terrified tiny Christian community. Al-Qaeda threats against Christians have led to Christmas festivities being cancelled in the northern Iraqi oil hub of Kirkuk, its Chaldean Catholic archbishop said on Tuesday. An unknown group of terrorists broke into the home of a Christian family in the Darkazliya district of Mosul, and abducted the daughter Robina Tareq Petros Alqas Touma. Three (3) armed terrorists have broken into the home of a Christian family in the Sahet Maisaloun district of Baghdad. After entering the home, the terrorists threatened the family and told them that they will kill them. Prior to leaving the house, the terrorists warned the family to leave their home in Baghdad, if they wanted to stay alive. An Iraqi soldier and a Christian citizen were killed and seven people wounded on Tuesday evening in separate gunfire and a car bomb attacks in the city of Mosul, the capital of Nineveh province, a provincial police source said. Two Iraqi Christian brothers were gunned down inside their vehicle workshop in the restive northern city of Mosul on Monday, police said. A string of anti-Christian bombings has cost six more lives in the wake of a Baghdad church bloodbath, sowing panic in Iraq's 2,000-year-old minority on Wednesday, many of whom now want to flee. 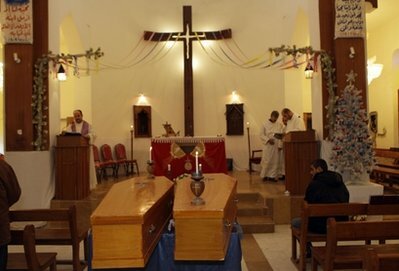 October 31, 2010 (Baghdad, Iraq) — Islamic Terrorists kill Assyrians in Baghdad Church. Islamic militants held around 120 Iraqi Christians hostage for nearly four hours in a church Sunday before security forces stormed the building and freed them, ending a standoff that left 58 people dead, U.S. and Iraqi officials said. October 2, 2010 (Baghdad, Iraq) — Matty Anwar Youkhanna Albazi abducted in Iraq. On Saturday, October 2, 2010, an unknown group abducted Matty Anwar Youkhanna Albazi who resides in the Assyrian neighborhood of Dora in Baghdad. The abductors contacted his family on Sunday October 3, 2010 and demanded a ransom amount of $100,000 (one hundred thousand US dollars) for his release. August 28, 2010 (Mosul) (AFP) — Kidnapped Assyrian killed in Iraq despite ransom paid. A Christian glazier, Luay Barham al-Malik, was abducted and killed in northern Iraq after his family had paid his kidnappers 15,000 dollars as a ransom for his release, police said on Friday. A double bomb attack targeting buses carrying Christian students and university workers near Mosul in northern Iraq killed a shopkeeper and wounded 80 other people on Sunday, police said. The attack, comprising a car bomb and an improvised explosive device, took place on a highway around three kilometres east of Mosul, the capital of Nineveh province, at around 8:00 am (0500 GMT) an officer told AFP. The victims were travelling from Hamdaniyah, a Christian area, to the University of Mosul, he said. December 28, 2009 (Mosul) — An Assyrian student was kidnapped from Mosul University premises. Sara Edmond Youkhana was in her first year of Pedagogy Education at the university. A group claiming to represent the Islamic Republic of Iraq called the family and claimed responsibility for the kidnapping without making any demands. December 24, 2009 (Mosul) — Basil Esho Youkhana (b. 1986) was murdered in front of his home in al-Tahrir quarters in Mosul. Basil was attacked by an unidentified armed men. His body was transferred to Bartella where he is going to be buried. December 23, 2009 (Mosul) — The Church of Mar Toma (St. Thomas) for the Syrian (Assyrian) Orthodox in al-Sa’aa District in Mosul was a bomb target. The terrorists used a small wooden cart (normally used by persons selling fruits, vegetables, etc.) to hide the bombs in. The church is located on an old narrow alley that is not accessible by automobiles. One passing by was killed and four injured. Church windows and doors were damaged. December 17, 2009 (Mosul) — Zayd Najeeb Yousif (39) was killed by unidentified group of people in the 17 July quarters in Mosul. December 15, 2009 (Mosul) — Two churches (Al Tahira Orthodox and the al-Bishara Catholic) were bombed today in Mosul. Many children were injured at the school that is adjacent and belongs to the al-Tahira Assyrian Orthodox Church. The two churches were damaged. One girl, baby Teba Sa’ad Yunis, eight days young was killed in the attack. November 26, 2009 (Mosul) — A bomb exploded near the Church of Mar Afram in Wadi al-‘Ayn in Mosul al-Jadeeda (New Mosul). The bomb caused extensive damage to the church and the home of the priest attached to the church property. The church is not suitable for praying any longer. Another bomb ripped through the Santa Teresa Monastery, but none of the six nuns that live in it were hurt; however, the monastery’s reception hall was damaged severely, in addition to other parts of the structure. November 13, 2009 (Mosul) — An unidentified group of men attacked and fired upon Rami Khacheek (16) while he was in front of his own home in al-Tahrir quarters and killed him immediately. Rami’s family had escaped to Tellesqof after the attacks on Christians in Mosul, but returned lately with the relative peace. Rami’s funeral was on Saturday. He was buried in Tellesqof. October 12, 2009 (Baghdad) — Saamir al-Naqqar (b. 1974) was shot and killed for undisclosed reasons. He was a graduate of Electrical Engineering and Computer Science. He attended the Christian Studies Institute of the Babil (Babylon) College of Theology, at its old location in Dora, Baghdad. October 5, 2009 (Kirkuk) — The funeral of Imad Eliya (b. 1956) took place at the Church of the Holy Family. Eliya was abducted a couple of days earlier and his body was found on Sunday with traces of gunshot wounds. Eliya was an employee (nurse) at Kirkuk’s General Health Directorate. September 5, 2009 (Mosul) — After over a month and a half of abduction, the body of Saalim Barjo was found in Mosul. August 18, 2009 (Kirkuk) — This evening one Assyrian was killed while another abducted. Sabah Askar (father of three children), was killed when he tried to save a child in his neighborhood from being abducted. Dr. Samir Giwargis was abducted by unknown gunmen while on his way home. Dr. Giwargis was a pediatrician. July 26, 2009 (Mosul) — ‘Alaa Bashir (30) was murdered at the family factory that is located midway between Mosul and Telkaif. Gunmen driving four cars approached the soft drink factory owned by ‘Alaa’s brother, confronted the guard, beat him and asked the guard to see the owner. When ‘Alaa came out to see what was going on, the gunmen pulled their guns and shot him to death. July 13, 2009 (Mosul) — The Church of Virgin Fatima was bombed in Mosul. The attacks came even though Assyrian Christian (also known as Chaldean and/or Syriac) sources warned of the impending attacks days ago. Assyrian sources received warnings of the impending attacks 5 days ago through text messages and immediately passed the information on to U.S. forces. Under new security arrangements, U.S. forces were unable to act themselves but ensured the Iraqi military was notified. 7. The St. James Church in Dora as parishioners were inside during Sunday mass. July 12, 2009 (Kirkuk) — An unidentified group of armed men shot and killed Aziz Rizqo, General Manager of Financial Control Bureau, in front of his home in Domeez neighborhood in central Kirkuk. June 29, 2009 (Nineveh Governorate) — A car bomb exploded just before noon near the Hamdaniya (Also known as Baghdede or Qara Qosh) hospital killing seven people. Worth mentioning that Baghdede (30 km east of Mosul) is the largest Assyrian town in Iraq with close to 40,000 predominantly Assyrian inhabitants. May 3, 2009 (Nineveh Province) — Tony Edward Shawil (5 years old) was kidnapped in front of his home in 'Ayn Sifni, Shaikha District by an unknown group. The abductors initially demanded a ransom of $50,000, but did not wait for the payoff. His body was found later dumped in nearby Rofya, Aqra district. April 26, 2009 (Kirkuk) — Two families were attacked simultaneously around 10:00 p.m. when gunmen broke into their homes. In Domas neighborhood, Mouna Latif Dauod and her daughter Susan Latif were killed and a third person was wounded. In the attack on the second family in the Wahid Huzeran neighborhood, Basim Yousif Shaba, an employee in Iraq's Northern Oil Company, was killed and his two sons, Basil and Samer, were injured. April 4, 2009 (Mosul) — An unidentified group stormed the shop of Abd al-Aziz Elias Aziz, opened fire, shot and murdered him. Aziz ran his small electrical generators repair shop. April 2, 2009 (Dora, Baghdad) — Nimrod Khuder Moshi was murdered in front of his restaurant in Dora. April 2, 2009 (Dora, Baghdad) — Two women, Glawis Nissan and Hanaa Ishaq, were attacked and stabbed to death by unidentified persons inside their home in Dora this afternoon. It is worth mentioning that there was another woman who was killed in March in the same manner. March 31, 2009 (Kirkuk) — Sabah Aziz Sulaiman (b. 1938) was murdered (his throat slashed) in his Ghaz al-Shimal Apartment Complex, Bldg. 14, Apt. 2. His wife Mary David Sliwa, an employee with the Kiwan Hospital, was at work at the time . Sulaiman was retired from his work at Huzayran Bank. January 4, 2009 (Dora, Baghdad) — An armed group stormed and broke into the home of Shalemnassar Gibrael in Dora suburbs of Baghdad. Shalemnassar was in his bed recovering from a heart attack. He was threatened at gunpoint as the gang strangled to death his 64 years old wife Wardah Nicola in front of him. December 15, 2008 (Agra, Northern Iraq) — Marina Abimalek Aziz, a nineteen-year-old Assyrian girl is abducted and is missing for over 10 days, then is found in a river after being raped and killed. The tragedy is compounded when the Kurdish authorities accuse and torture her brother, Youbert Abimalek Aziz, into falsely confessing to her murder. November 12, 2008 (Mosul) — Two Christians, Lamya' Sabeeh and her sister, were killed in al-Qahira quarters of Mosul when unknown assailants stormed their home and attacked the peaceful family. The mother of the two girls was seriously injured as well from repeated stabbing. The assailants then left a bomb in their house, which exploded as the police arrived. This crime occurred as many Christian families began to return to Mosul after last months forced exodus of Christians from the city. October 22, 2008 (BAGHDAD (AP) — A car bomb exploded Wednesday in the northern Iraqi city of Mosul, killing four civilians as the local government acknowledged it has yet to persuade frightened Christians to return to the homes they fled, police said. A police officer in Nineveh province said the bomb went off in a parked car in a predominantly Sunni area of this city, where violence has continued against Christians and other religious minorities despite months of U.S. and Iraqi military operations to chase out extremists. Mosul officials said few of the nearly 10,000 Christians chased from their homes earlier this month are returning to the city, despite government pledges of financial support and protection. October 15, 2008 (Baghdad – Associated France Press) — In a statement to France Press, Jawdat Isma'eel, Director of the Ministry of Migration and Immigration office in Mosul, stated that the number of Christian families that fled Mosul has risen to 1,307 families. Meanwhile, the Iraqi Minister of Defense, Abd Al-Qadir Al-Ubaidi, stated in a meeting with notables and with political parties and families representatives in Mosul that 1,894 Christian families have fled Mosul. October 14, 2008 (Mosul) — One of the gates of the Church of Miskenta on the east (right) side of Mosul city was damaged due to an explosion of a bomb that was placed near it. Worth mentioning that until today the Christians of the east side of Mosul city were not inflicted with the recent wave of emigration and displacement. October 11, 2008 (Mosul) — The McClatchy Newspaper Washington Bureau reported that thousands of Christians are fleeing their homes in Mosul after a spate of killings this week that left 12 dead. October 11, 2008 (Baghdad – AP) — The Associated Press (Bradley S. Klapper) reported that 3,000 Christians have fled Mosul in the past week alone. October 11, 2008 (Baghdad - CNN) — The CNN reported that at least 900 Christian families have fled Mosul in the past week terrified by a series of killings and threats by Muslim extremists ordering them to convert to Islam or face possible death. It reported that 13 Christians have been slain in the past two weeks. October 11, 2008 (Mosul) — The BBC – Arabic reported that about 1,000 Christian families have fled Mosul in the past 24 hours due the bombing of some of their homes and the killings of 11 Christians in 10 days. Meanwhile, the Middle East On Line reported that the Governor of Nineveh Governorate Duraid Kashmoola stated that there has been a mass emigration (nizooh) of at least 932 Christian families from Mosul within 10 days after the bombing of three homes belonging to Christians in al-Sukkar quarters. He said: 500 families fled on Friday and 432 families on Saturday. He stressed the killing of 11 Christians at least in the past 10 days. October 11, 2008 (Nineveh) — The latest statistics on the Christian families that fled Mosul to the Nineveh Plains towns and villages from 10/6 to 10/11/2008 due to the latest killing of Christians included the followings (keep in mind that families are moving around): Baghdeda 138; Karamlesh 128; Bartella 72 families. October 10, 2008 (Nineveh) — Recent reports indicate that 571 Christian families had fled their homes in Mosul to the towns and villages of the Nineveh Plains in the past few days. The latest break-down distribution of these Christian families are as such: to Tellesqof 150; to Alqosh 45; to Batnaya 35; to Telkaif 73; to Bartella 84; to Baghdeda 150; to Karamlesh 25; to Nahla 9. There were no statistics yet about those who ended up in Ba'asheeqa and Mar Matti Monastery. October 9, 2008 (Mosul) — 75 Christian families fled Mosul in two days alone: 25 families on Wednesday and 50 on Thursday. The exodus from Mosul started early October when nine (9) Christians were killed since October 4 and cars with loud speakers drove through the city ordering the Christians to leave or be killed. October 8, 2008 (Mosul) — Jalal Mousa Abd al-Ahad (38 years old) was shot and killed near his home in al-Noor quarters in Mosul. October 7, 2008 (Mosul) — Gunmen stormed a pharmacy and killed assistant pharmacist Khalid Jirgis al-Sammak. October 7, 2008 (Mosul) — Unknown gunmen killed Amjad Hadi Boutros and his son Husam while they were working in a house during construction in al-Siddeq quarters. The victims were residents of al-Sukar neighborhood in Mosul. October 6, 2008 (Mosul) — Ziad Kamal, a disabled 25-year-old in a wheelchair was killed at 10:00 a.m. this morning when a group of unknown gunmen riddled his body with bullets while he was inside his auto parts shop in al-Karama quarters in Mosul. The victim's family is originally from Mosul but they had moved to Bartilla lately due to the violence in the area. October 4, 2008 (Mosul) — Unidentified gunmen killed Hazim Toma Yousif, an Assyrian man in his 40s, inside his family clothing store in the old souk of Bab al-Sarai, central Mosul, before they escaped to an unknown place. “A gunman stormed the store owned by the victim, an Assyrian Christian, and opened fire at him from his gun he had in the crowded souk,” the police source said, not giving more details. October 4, 2008 (Mosul) — Ivan Enwiya Yonadam, a 15-year-old young Assyrian, was killed this afternoon (Saturday) by unknown gunmen near his home, beside AL-Zahra mosque in Tahrir district in Mosul. September 28, 2008 (Mosul) — Bashar Nafi'a Sa'eed was murdered 10:00 a.m. at his workplace according to a priest of the Syriac Orthodox Church in Mosul. No other details are available. September 16, 2008 (Baghdad) — Jihad Maskoni, his son Marwan (student of Engineering College) and his daughter Milad (student of Pharmacy college) were killed in front of the Personal Statute Court in Karrada neighborhood. added that: “The gunmen were on foot and they shot the man dead before they fled the scene”. The names of the two victims were not released and the motives behind this latest crime remain unknown. Latest reports indicate that the victim is Rayan Nafi' Jamoo'aa, whose father was kidnapped and murdered earlier. August 31, 2008 (Mosul) — Nafi' Bashir Jamoo'aa was kidnapped and killed in Mosul. It is not yet known whether or not a ransom was paid. August 28, 2008 (Mosul) — Police found the body of Dr. Tariq Qattan (65) east of Mosul. The source stated that the upper body and head reflected signs of beating and gun wounds. Dr. Qattan was abducted on August 24. August 2008 (Mosul) — Haytham Khidir was murdered in his lathe shop in the al-Sina'aa quarters in Mosul. The deceased brother, Potros Khidir, is a monk in Germany. July 10, 2008 (Mosul) — Mazin Girgis Yaqou Aboona, a 34 year old Assyrian man, who used to sell household items out on the street was attacked by gunmen in a car, they surrounded him, stole all that he had, then riddled his body with bullets and fled the scene. The crime took place on Wednesday July 09 in al-Dargazliyya neighborhood in Mosul. When Mazin's mother heard shouts of neighbors she ran out to find the body of her son in the street and as she hugged him, the shock was too powerful that she fell dead next to him. July 6, 2008 (Nineveh Province) — Unidentified armed men abducted two high school female students in Telkaif district of Nineveh Province. The two girls were on their way to school to take the final examination. June 17, 2008 (Baghdad) — A Canadian parliamentary committee studying the persecution of religious minorities worldwide heard that since the Iraq war began in 2003, about 12 children, many as young as 10, have been kidnapped and killed, then nailed to makeshift crosses near their homes to terrify and torment their parents. One infant was snatched, decapitated, burned and left on his mother's doorstep. The committee was told that one in every three Iraqi ChaldoAssyrian Christians is a refugee. June 9, 2008 (Baghdad) — Monqedh Elias Essa was assassinated by unknown gunmen in al-Yarmouk neighborhood (al-Mansour district) in central Baghdad. The victim was riddled with bullets and the motive for the criminal act remains unknown. The victim (b. 1967) was married and the father of two girls and a boy. April 5, 2008 (Baghdad) — Gunmen shot dead an Assyrian Orthodox priest near his house in central Baghdad's Karrada neighborhood on Saturday, security officials told AFP. Youssef Adel, a priest with Saint Peter's Church, was killed by gunmen traveling in a car around noon local time. April 2, 2008 (Baghdad) — Three Assyrian Christian women were killed in al-Jadirriya quarters on Wednesday. The three women were in a car at the time when unidentified armed men riding a car as well approached them and opened fired on them killing them instantly. March 23, 2008 (Baghdad) — On Easter Sunday, Sargon Zahir Oshana was shot in his head by two bullets. He died later suffering from his wounds after struggling for his life in a hospital. Sargon had participated in the special Easter Sunday mass at Mar Elia Church. He left the church on his way home to celebrate Easter when he was intercepted by a fundamentalist group and shot. March 14, 2008 (Mosul) — A terrorist group tried to kidnap Rani Yousif Hanna (b. 1983) as he left St. Thomas Assyrian Church in al-Noor quarters in Mosul; however, he resisted and they shot him dead. Rani and his family fled to Syria in 2005 because of the escalation of terrorism against the Christians. He returned a couple of weeks ago to take care of a few personal issues and was planning to go back to Syria again. March 13, 2008 (Baghdad) — Zaid Michael Atto was killed when a bomb exploded in central Baghdad. March 13, 2008 (Mosul) — The kidnapped Archbishop Mar Poulos Faraj Rahho, Chaldean Catholic Church bishop of Mosul, was found dead north the city of Mosul. According to the alrabita al-Iraqiya sources, the criminal [Kurdish] peshmerga gangs were behind the kidnapping of Mosul's Bishop Polous Faraj Rahho. Furthermore, the sources indicated that the person who was doing the negotiations was an accomplice of the Mosul police. The people of Mosul know that the Peshmerga are behind most of the crimes. February 29, 2008 (Mosul) — Mar Poulos Fara j Rahho, Chaldean Catholic Church bishop of Mosul, was abducted after he celebrated the Via Crucis. The three people (Samir, Faris and Rami) that were with him (his driver and two companions), were killed. The kidnappers are said to have already made a request. The abduction took place at 5.30 pm local time as Bishop Rahho had just left Mosul’s Holy Spirit Cathedral. February 26, 2008 (Baghdeda, northern Iraq) — A bomb went off at the entrance of a shop that sells alcohol in the center of this predominantly Christian town near Mosul. Seven people were injured and transferred to a nearby hospital for treatment. February 7, 2008 (Mosul) — Sarah Al-Los was kidnapped by a group of men while she was in front of the main gate of Mosul University. Sarah is a student in Mosul University. Her family has not been contacted yet as of April 2008. February 1, 2008 (Baghdad) — Douglas Pnoel Samuel was killed when a bomb exploded in al-Ghazal market. January 17, 2008 (Mosul) — According to Aswat al-Iraq (Voices of Iraq), A car bomb detonated near the Chaldean Catholic Church of al-Tahira (The Pure) in al-Shifa district, western Mosul, leaving one policeman and a woman slightly injured. The blast caused material damage to the external wall of the church and smashed its windows and doors, said a police who requested anonymity. January 9, 2008 (Kirkuk) — Two churches were bombed in central and northern Kirkuk: The first at the Cathedral of Qalb al-Yasoo' (Jesus's Heart) of the Chaldean Catholic Church and the second at Mar Afram Church of the Syriac Orthodox Church in al-Umal (Workers) Square. Three people were wounded. According to reports, a third church has been bombed, but no details are available. January 6, 2008 (Baghdad and Mosul) — Today, several explosions targeted Churches and monasteries of different Assyrian Christian denominations in Mosul and Baghdad. The targeted churches and monasteries were: In Baghdad, Mar Giwargis (St. George) in al-Ghadeer quarters and the Chaldean Nuns Monastery of the Daughters of Mary in al-Zaafaraniya. A Greek Orthodox Church in Al-Tayaran Square was also a target. In Mosul, the bombs targeted the Catherine Monastery of the Chaldean denomination, St. Mary's Cathedral of the Ancient Church of the East in al-Nour quarters (al-Shuhada' previously), Mar Poulus (St. Paul) Church in al-Sa'aa quarters, the Chaldean Nuns Monastery of the Daughters of Mary in al-Nour quarters and the Miskinta Church in central Mosul. December 21, 2007 (Baghdeda, northern Iraq) — The body of Fadi Michael Hanani Aolo was found in the outskirts of the Assyrian town of Baghdeda. It was established that the body has been left there for about four days. The circumstances are still very sketchy. Fadi did not return home since he left four days ago after he received a phone call. December 11, 2007 (Baghdad) — The family of Saalim Yousif Karash (originally from Baghdeda) was attacked while inside their own home and during daylight (2:00 p.m.) by an armed group in Zayoona quarters in Baghdad. They hit the father severely until he was unconscious. One of his two girls, Lena, who was inside the house was afraid of being raped, beaten or kidnapped, threw herself from the balcony of their apartment on the fourth floor. Then the armed gang stole most of what they can gather and left. The mother was hysterical and had a nervous breakdown. The father is in critical condition in a local hospital while the daughter underwent surgery for a crack in her skull and she is still unconscious in the hospital. The other two sons and one daughter are safe since they were not at home when the attack occurred. December 10, 2007 (Basra) — According to alarabiya.net, female Christian students faced numerous threats on their first day at Basra University from students that appear to be members of Islamic militias. The female students were given the option of wearing the Islamic veil or face death while the male students were told to raise their beards in the Islamic fashion. The alarabiya.net referred to an article on December 9, 2007 in the Sunday Times about the issue. December 9, 2007 (Mosul) — Pamphlets and notices were floating all over Mosul University threatening Christian female students from not wearing the Islamic dress code. The Islamic groups gave the Christian students three days to comply or face death. December 9, 207 (Basra) — A group of eight men kidnapped Usama Fareed (age 45) from his home. Then, his sister Maysoon Fareed (age 42) was taken from her work place as well. An hour later, the brother and sister were found dead in the quarters of al-Jamhooriya (3 km from town center) with more than 11 bullets in their heads. December 9, 2007 (Mosul) — Unidentified gunmen killed Hana' Nisan Behnam in the area of Nabi Younes (Prophet Jonah) in central Mosul on Sunday, a police official said. “Gunmen in a vehicle opened drive-by fire at the 24-year-old Christian at al-Nabi Younes market, killing her instantly,” Brig. Muhammad Abdul-Aziz al-Wakkaa, the director of Nineveh police operations room said. “The girl's body was removed to the morgue in Mosul,” Wakkaa said, not giving further details on the incident. Ms. Nisan was from the town of Telkepe and was in Mosul shopping. She was married and a mother for three children. December 6, 2007 (Baghdad) — An explosion in al-Karada district in Baghdad claimed the lives of three residents from Baghdeda. The three victims are Haitham Sabeeh Toma (b. 1975) and a father of two small children, Amer Aziz Hashko and his sister. Amer and his sister were in the capital city preparing for his own wedding, which was to take place in three days. November 30, 2007 (Baghdad) — Luisa Matti Jameel was killed in al-Khalis area north of Baghdad. Luisa was returning home to Baghdeda (in Nineveh plains) from Baghdad. November 7, 2007 (Mosul) — Close to 2,500 Assyrian students that live in the Assyrian villages of Qaraqosh (Baghdeda), Bartilla, Karemlish, Ba'ashiqa, Bahzaneh, Tel-Kaif (Tel-Kepeh), Tel-Esquf, Batnaya, and Sharafiya, expressed their fears of not being able to continue their higher studies in Mosul University and other technical, academic and art institutions due to the continuous acts of violence, threats and harassment, which are exposed on the roads and highways leading to Mosul. Few months back eight Assyrian university students from Baghdeda were abducted as they were on their way to Mosul. Parents fear for their children's lives and make the decision to keep their children home. A number of students said that they had tried to enroll in the universities and colleges of Arbil and Dohuk (Nohadra) but they were faced with many hurdles, red tape, unusual local laws and measures which imposed in these institutions which aren't found in other universities and colleges such as students' hosting and restricted admissions because they're considered not to be part of the so-called Kurdish region (North of Iraq - Occupied Assyria). apparent and visible torture marks. The victim was 45 years old and married. October 22, 2007 (Mosul) — Fawzi Aukania Apas (b. 1968) was killed in Mosul. Unknown gunmen riddled the victim with bullets while he was driving his car from Arbil. Apas was married and he was a father of five children. October 21, 2007 (Ba'asheeqa, Mosul) — Ayman Abd-Allah Ishaq Hanna, son of Fr. Abd-Allah Hanna, priest of St. Shmouni Syriac Orthodox Church in Ba'asheeqa was gunned down as he was returning Saturday from Dohuk (Nohadra) to his hometown. October 12, 2007 (Baghdad) — Najah Salman al-Los (b. 1960) left his home in New Baghdad quarters to go to work in Dora quarters. He was attacked, fired at with several bullets and murdered while driving on the highway. Al-Los was married with five children. October 12, 2007 (Baghdad) — Miyssar Mansour Hanna Rahel was abducted by unknown gunmen on Thursday (Oct. 11) in Baghdad. He was found dead on Friday (Oct. 12). He is originally from the northern Iraq town of Karamlish. The victim had a brother named Malik Mansour and he was also murdered in Baghdad few months ago. October 9, 2007 (Mosul) — Bassam Yousif Elias al-Khadim was kidnapped after completing his service at the al-Tahira Church. Later, his body was found in one of Mosul's quarters. October 7, 2007 (Baghdad) — Franco Issac was murdered today. No details available yet. October 3, 2007 (Baghdad) — Samir Estephan Micah Doda was murdered today. September 29, 2007 (Mosul) — At around 1:00 p.m. local time, a horrific car bomb explosion shook the Assyrian town of Baghdeda (around 13 miles northeast Mosul). According to the preliminary reports, a suicide bomber in a pickup truck caused the explosion and it happened inside the market facing al-Rafidain bank in the town's center. Evan Yousif Zora and Rabie Sabah Shandar were killed in addition to three unidentified policemen. The estimated 15 wounded were transferred to the hospital with one of them being in a serious condition. September 27, 2007 (Mosul) — The explosion of a car bomb at a checkpoint between Mosul and Arbil on Wednesday killed Matthew Shamoun Boutros. September 21, 2007 (Baghdad) — Assyrian Christian families that had fled Dora district affirmed that their homes were looted by armed groups. Security forces didn't take any action to stop the looting. It is believed that between 125-150 homes were robbed and looted of all their contents, including electric appliances, furniture, carpets, etc. In addition to that iron windows and doors were removed from the houses, while more than 100 houses have been occupied by strangers without a prior agreement with their legitimate owners nor their knowledge. August 24, 2007 (Kirkuk) — The Assyrian Democratic Movement announced that Joseph Abd Ibrahim Hermiz (b. 1986) was murdered Friday at noontime in al-Qadisiya al-Thaniya behind the Public Clinic. No further details were available. August 20, 2007 (Baghdad) — Baher Sabah Kallo (b. 1975) was killed in Baghdad. He was a lecturer at Baghdad University. Kallo was abducted and a ransom was paid in exchange for his release, but the abductors still murdered him. August 13, 2007 (Baghdad) — Jeffrey Ramzi Boutros (28) was killed in al-Mansour neighborhood of the al-Dawoodi district in Baghdad. Jeffrey was the only child to his parents. a military regiment of the Iraqi National Guard. August 7, 2007 (Baghdad) — Unidentified gunmen forced themselves into the house of two brothers Falah and Sabah Nasouri 'Alka in al-Karrada district of Baghdad. The two brothers were brutally attacked before being killed. Falah died following a savage beating and torture while Sabah was shot. Falah, 52, was a pharmacist who ran al-Rabab pharmacy in al-Karrada district while Sabah, 55, was an entrepreneur and worked in trade. August 3, 2007 (Mosul) — Unidentified gunmen in three cars approached Thamer Najib Azzouz in an attempt to abduct him in al-Hadbaa' district in Mosul. Azzouz refused to leave his family and two little children in order to yield to the gunmen's request, and when he fought the kidnappers, they shot and killed him instantly then they fled the area. July 22, 2007 (Baghdad) — Osama al-Nujaifi, a deputy of the National Iraqi bloc led by Ayad Allawi, accused the Kurds of murders against a number of citizens in the Nineveh Governorate. The deputy said that the Kurdish forces and their members in the Iraqi army are committing murders and terrorizing the people while they stand to guard the Kurdish parties headquarters. He accused the Kurdish Alliance of following a Kurdification policy. He added that there are districts such as Sinjar and Zommar that follow the area of Tel-afar as well as Telkaif, Hamdaniya and Sheikhan, which are administratively part of Nineveh Governorate, but immediately after 2003 Iraq War, the Kurds moved into those areas and began to run them directly. July 17, 2007 (Baghdeda, Nineveh) — Fadi Nazar Habash was killed when a force of Kurdish forces "Peshmerga" fired towards his car while he was driving on al-Hizam Street in Baghdeda. July 13, 2007 (Mosul) — Matti Boulos Markus Moma, an Assyrian from Baghdeda, was kidnapped couple days ago. The kidnappers demanded for $20,000 ransom to release him. The money was raised and paid by his wife. Still, Matti was murdered and his body was found today Friday. July 12, 2007 (Samarra) — Amira Abd al-Massih Hermiz from the village of Telesquf was killed today in her home in Samarra. The victim was born in 1970, married to Jalal Shaya Marogi and a mother of 7 children, the eldest 16 years old and the youngest a baby of two months. Details about the circumstances of her death aren't available yet. July 8, 2007 (Baghdad) — The BBC stated that the American Embassy in Baghdad Ryan Crocker confirmed that two employees were murdered indeed and that the killers will be tracked down. Another American employee at the embassy who refused to declare his identity stated that the two employees were Hazim Hanna and Amal Maskoni. July 5, 2007 (Baghdad — An armed group attacked al-Mashtal area in Baghdad near the Hydro Company, opening fire on shop owners yesterday. Some shop owners were killed while others were abducted. Fathalla Hazem Batti was shot with three bullets and killed. The victim was born in 1967, married with two children, Marios (3yrs and 6 months) and Alber (1 yr and 9 months), and he lived in the area of Palestine Street. Eyewitnesses mentioned that up to eight people were killed in this attack. P.S. al-Mashtal area has a high concentration of Christians. July 5, 2007 (Baghdad) — Mouwafaq Philip Boutros was murdered by a group of armed terrorists who asked him whether he was a Sunni Muslim, but when he answered, "I'm Christian" his body was riddled with bullets. The victim was 58 years old, married, and had three children. He had left his home in Baghdad three days ago and was murdered in al-Saidiya district. July 4, 2007 (Mosul) — A statement by an Islamic group that calls itself the Islamic Emirate of Mosul threatened to kidnap or kill all Christians whether students or employees in Mosul University if they did not leave the university campus in three days. According to the statement that was posted on city streets, the Islamic group threatened as well all Christians living in Mosul to leave the city within three days or the group will behead any Christian who will remain in the city. The Islamic Emirate of Mosul had killed four Christians living in the al-Sa'aa and al-Yarmook quarters of the right littoral of the city after they were kidnapped and their bodies were found in the Wadi 'Aaqab cemetery. The group had killed as well two Christians who arrived from Hamdaniya District to Mosul where they worked. The said group murdered another female Christian employee of the Iraqi Central Bank in Mosul. July 3, 2007 (Baghdad) — Sa'eed Elias Sam'aan Estephan Sheekho was murdered in Baghdad as he left his home in al-Za'afaraniya district. The victim was married and father of six children. He was buried in his hometown of Baghdeda today. July 3, 2007 (Baghdad) — Sources in the Spanish Foreign Ministry mentioned yesterday that an Iraqi Christian employee in the Spanish embassy in Baghdad was found dead with three of her family members. The Iraqi Christian woman who had been working in the embassy for 10 years disappeared last Friday and was thought to be abducted. The four bodies were found July 01, 2007 and they were shot. The Spanish sources mentioned that this incident has nothing to do with Spain but everything to do with the violence in Iraq. July, 2007 (Baghdad) — In the Assyrian district of Al-Dora, a suburb south of Baghdad, two Assyrian girls committed suicide after refusing to be married by force to Muslims. The young girls could not leave the area since it was surrounded and enforced by terrorists of the Sunni militia, Islamic State of Iraq. June 27, 2007 (Mosul) — Aamer Bahjat Mikha was murdered Wednesday on the highway between Mosul and Baghdad when an unidentified militant group stopped his car and shot him. Mikha was married with three young children, a boy in primary school and two little girls. June 27, 2007 (Mosul) — Unidentified gunmen killed two members of the Assyrian's Patriotic Union of Beth Nahrain, Sahir Yusuf Istayfo (b. 1958) and Lewi Sleman Numan (b. 1986), in a drive-by shooting in central Mosul, police said. June 26, 2007 (Baghdad) — George Yousif Jajjo and his wife Laila Yacoub Hermis died of starvation and siege. Hours after his wife Laila (68 years) passed away, an acute psychological trauma killed George Yousif (aged 74). The Assyrian couple was living alone besieged in their home due to the imposed blockade on Christians by terrorist groups. The Assyrian couple lived in al-Hadar district between al-Mechanic and al-Sahha areas in Dora. They had consumed what food, water and medicine they had, thus George risked his life and left home seeking help when his wife fell unconscious, arriving at his sister-in-law's place they called the police, but by the time help arrived George's wife was already dead. This tragic incident is part of the calamities befalling the Assyrian Christians with their different denominations due to terrorist acts, Jizya (head tax) demands and forced conversion to Islam. June 21, 2007 (Baghdad) — Iraqi Police said that unidentified armed men kidnapped a group of eight Christian university students and a lecturer. The students and the professor were in a community bus that is provided by the local church. The students were going home after completing their final examinations. The group was released the next day after an amount of $200,000 dollars was paid as ransom to the armed kidnappers. The names of the released are: Seif Sami, Atheer Hesh, Ghareed Sabah, Nasir Bashir, Savio Albert, Anas Abd-Allah, Robert Adnan and Wissam Girges. The armed gunmen had stopped the bus, verbally abused the students and the professor, threatened to kill them if the women did not veil themselves or if the males sat next to the females. June 19, 2007 (Mosul) — Anmar Akram Raffo Yaqoub was murdered Tuesday by an armed group in al-Wahda district in Mosul as he went to check on his home, which he had left because of the security conditions. He was buried in his hometown of Baghdeda. Yaqoub was born in 1979. He was married and the father of two children (twins). June 12, 2007 (Baghdad) — Nisreen Markus Hermis (b. 1958) was killed in front of her house in Baghdad Sunday evening at the hands of some terrorists. June 18, 2007 and funeral services were held in their town of Telesquf, Tuesday, June 19, 2007. Ramzi was born in 1957, married and the father of five girls and two boys; he was a resident of al-Khaleej district in Baghdad. Ismael was born in 1959, married and the father of three boys and a girl was a resident in al-Ameen district in Baghdad. June 6, 2007 (Baghdad) — A Catholic priest and five young Christians were kidnapped in Baghdad, Catholic news service AsiaNews reported on Wednesday, three days after the murder of another priest and three of his assistants in Iraq. AsiaNews said the Chaldean Catholic priest, whom it named as Hani Abdel Ahad, was seized with the five in Suleikh, a Sunni neighborhood in northern Baghdad. It was not immediately clear when the kidnapping took place. June 4, 2007 (Baghdad) — The St. Jacob Church Near the Asia Neighborhood (Hay Asya) in Dora was attacked and the Christian guards killed, the church was looted and will be turned into a mosque. St. John the Baptist Church near the Hay Al-Athoriyeen (Assyrian quarter) was also looted. June 3, 2007 (Mosul) — One priest and three deacons were gunned down in Mosul as they left the Church after having finished Sunday Mass. Fr. Ragheed Ganni, Deacon Basman Joseph, Deacon Bassam and Deacon Ghassan of the Holy Spirit Church were killed by a hale of bullets from a group of gunmen. Their bodies were dumped in front of the church and are remaining there. Residents are afraid to remove the bodies from fear of being shot. According to the AFP News, the four had finished mass at 7:30 PM and were driving away in the priest's car when they were intercepted by four men in a car about 100 meters away from the church. Fr. Ganni was born in Mosul in 1972; he held a Bachelor of Science in civil engineering from the University of Mosul (1993). He studied in Rome from 1996 to 2003 where he obtained a Masters in Divinity (Moscone Theology). June 2, 2007 (Baghdad) — Fouad Salem Benni Bello was assassinated in Baghdad. The victim was originally from the town of Baghdeda (Qara Qosh). He was married to Ibtisam Jameel Habash and a father of two small children Firas 5 and Mina 3 years old. was abducted while the terrorists screamed "you filthy Christian traitor." When the wife, Amal, attempted to deliver the ransom to the kidnappers, described as a Sunni group, she was killed. The self-styled "Islamic State of Iraq" said in a statement published on the Internet "God's ruling has been implemented against two of the most prominent agents and spies of the worshippers of the Cross...a man and woman who occupy an important position at the U.S. embassy...The swords of the security personnel of the Islamic State of Iraq...are with God's grace slitting the throats of crusaders and their aides and lackeys." an ominous note that committees have been established to monitor the Christian populace and enforce the decree. be upon her) and told her about what the Prophet (saas) said to us, Fatima said: 'It is best for women not to see men and for the men not to see them.'" 1 Sallallahu 'alaihi wa sallam (saas). (This is an expression that Muslims use whenever the name of Prophet Muhammad is mentioned or written. The meaning of it is: "May the blessings and the peace of Allah be upon him (Muhammad). designed to create tension between Muslims and Christians and that such actions will oppress and/or terrorize the rights of the Christians in the region. The 5 members of the Islamic Supreme Council of Iraq have boycotted the meetings of the Nineveh Governorate Council. Tensions continue to rise. Worthmentioning that the two Kurdish parties of the KDP and PUK bloc dominate the Nineveh Governorate Council, followed by the Sunni al-Tawafuq (Conformance) bloc, then the Shi'aa bloc, 2 Christians and a Turkomani member. May 24, 2007 (Baghdad) — Hikmat Faraj al-Safi was killed on May 17, 2007 at the hands of unknown gunmen as he was unloading a truck of provisions for his store in the Mechanic area in Dora. Al-Safi was born in 1952 and a father of seven children. May 22, 2007 (Baghdad) — The Grand Mufti (High Commission of Legal Opinion) of Iraq, Sheikh Jamal Abd Al-Kareem Al-Dabban, sent a letter to the Head of the Vicar Council of Churches in Iraq acknowledging the attacks and persecution of Christians. He condemned the Iraqi bloodshed and the perpetrators. May 21, 2007 (Mosul) — Jameel Hanna Sayfo, his wife Muntaha Hadi Sleiman and Ra’a Najeeb Mikha were in their car, completing family obligations, as they were killed by ‘friendly’ fire from the coalition forces in the mist of heavy fire exchange in the Baladiyat district in Mosul city. Jameel and Muntaha are survived by one son and two daughters. Ra’ad is survived by one son and two daughters as well. May 21, 2007 (Baghdad) — The Reverend Temathaus Eisha, pastor of the Church of St. Shimoni in the besieged1 Dora district of Baghdad, confirmed to ankawa.com that the information published about the forced displacement of Christian Assyrians from their homes in the district is accurate. He added that the conditions were horrible, especially in the Al-Ta'ma, Al-Iskan, Al-Mo'alimeen, Al-ShurTa, Al-Sitten, and Asia neighborhoods. The three remaining neighborhoods that are relatively calm are Hay Al-Athuriyeen (Assyrian quarter), Al-Jim'iya, and Al-Sihha. The large-scale campaign consists of expelling all Christians, unless they convert to Islam or the Jizya, or leave their homes and belongings. He added that the majority of Assyrians have abandoned these areas. May 19, 2007 (Baghdad) — A Chaldean priest was kidnapped this morning in Baghdad. He is Fr. Nawzat Potrous Hanna, parish priest of Mar Pithion, from the Baladiyat quarter. Confirmation of the abduction was announced by Msgr. Shlemon Warduni, Chaldean auxiliary bishop in the capital, who has invited Catholics to “pray for Fr. Nawzat’s immediate release”. The abductors have already made contact with the Chaldean Patriarchate, but as of yet there is no further news. The priest was leaving the house of an ill parishioner, when he was stopped by a group of persons who had been waiting for him, says the bishop. - 14 families have fled to the Al-So'ud Chaldean Church. - 7 families have fled to Saint Odisho Assyrian Church (3 families are in the church and 4 in the Saint Adai Patriarchate, the old church building). - An unknown number of families have fled to Saint George Chaldean Church. that do not leave and do not convert are threatened with death. In a report by the Catholic News Agency (AINA 5-18-2007), Mar Addai II, the Patriarch of the Ancient Assyrian Church of the East, says "Only the families that agree to give a daughter or sister in marriage to a Muslim can remain, which means that the entire nuclear family will progressively become Muslim." Also, Assyrian families are forced to turn over their homes as ransom for their kidnapped relatives. May 17, 2007 (Dora, Baghdad) — An Islamic militant group burned many parts of the St. George Assyrian Church of the East in Dora district in Baghdad. A bomb targeted this same church three years ago. The group responsible reached to the Cross and destroyed it with their bare hands at the time when the bomb failed to do so. May 15, 2007 (Mosul) — A car bomb in Ras al-Jaadda near Qabr al-Bint on May 10, 2007 claimed the life of Manhal Hanna Abbo as he was returning home from work. Abbo died immediately as he suffered severe head injuries. He was born in 1968 in the Assyrian town of Tellesqof. He was married and had a baby daughter five months old. Haydar al-Abadi protested these acts against the Christians and called upon the Iraqi government to protect the Christians. but they were able to escape and report the incident at the nearest police station. Some time later the wife and the grandson were found in the Habhab desert after they were stripped of their jewelry while the fate of the husband and the taxi driver remains unknown. May 10, 2007 (Baghdad) — An armed Iraqi group has in recent days begun targeting Christians in the residential al-Doura neighbourhood of Baghdad, according to an Interior Ministry source quoted by the pan Arab daily al-Sharq al-Awsat. Information obtained during probes and the interrogation of various terror suspects arrested last week indicate that this group is linked to al-Qaeda and is made up of 200 militiamen, most of them foreigners. May 8, 2007 (Damascus) — The NBC "Nightly News" with Brian Williams (5:40 p.m. West Coast Time) addressed the issue of Iraqis fleeing to Syria. The NBC correspondence interviewed Najeeba, an old Christian woman, whose husband was killed when one of the churches was bombed in Iraq. The Islamic fundamentalists asked her to convert to Islam or face death. She packed one suitcase, left everything behind and fled to Syria. The cameraman videotaped the one bedroom apartment that Najeeba shared with eight others. Najeeba pays $300 monthly for the room and the landlord had informed her that he was going to increase the rent to $600. Najeeba stated that she has nothing left. May 5, 2007 (Baghdede, northern Iraq) — Two Assyrian men were abducted on Tuesday by unknown gunmen in Baghdede as they were heading to work at al-Salam Hospital in Mosul. The reason for their abduction and their whereabouts are still unknown. April 26, 2007 (Baghdad) — Hani Hanna Yousif Bidawid (b. 1949) was shot to death on Thursday morning in al-Ghadeer quarters of Baghdad as he was on his way to work. Bidawid was married and had two children, Saamir and Sally. April 2007 — Sargon Ashur, a member of the Assyrian Democratic Movement (ADM) passed away on April 26, 2007 after spending two weeks in a coma. He was ambushed, fired upon and hit in his head while on his way to work. Sargon was married and had a girl Oryana (4 years) and a son Mattai (1year). April 26, 2007 (Northern Iraq) — An Assyrian (also known as Chaldean and Syriac) man traveling from Kirkuk, North Iraq to Syria was abducted at noon today. The man, identified as Wesam Khamis Sliwa, was traveling with his wife and sisters when their car was stopped by masked and armed men. Mr. Khamis was taken out of the car and driven away; the women were not harmed. The reason for the kidnapping is unknown and the kidnappers have not made contact yet. Mr. Khamis holds a degree in physical education and was born in the 1950s. April 24, 2007 (Baghdad) — On Tuesday, H. Nazar Maskooni was killed when a time bomb exploded at the College of Dentistry in Baghdad. Maskooni was one of the top ten students at the college. April 23, 2007 (Tellesqof [Tell Esqof], northern Iraq) — Around 10:00 a.m., a suicide car bomb attack took place in Tellesqof, 9 miles north of Mosul. The attacker detonated his car and at least 10 people were killed and 20 wounded. The car bomb exploded in the middle of the village market, in front of the social club near an elementary school. Tellesqof is a predominantly Christian town. This was the first terrorist attack in this tight-knit community since the Iraq war started. April 14, 2007 (Baghdad) — An unidentified Islamic group has been threatening the Christian Assyrians (also known as Chaldeans and Syriacs) in the Dora district of Baghdad, a traditionally Assyrian area. The Islamic group issued an ultimatum yesterday to Assyrian families, telling them to leave Christianity and convert to Islam within 24 hours or they would all be killed. The Islamic group also issued a fatwa (a religious edict) to confiscate the property of all Christians, to force Assyrian women to veil themselves, to forbid genuflection (making the sign of the Cross) and the wearing of the Cross. Earlier the same Islamic group forcefully removed the Cross from the churches of St. John and St. George. An affiliated Islamic group in Northern Iraq occupied the Assyrian monastery of Raban Hormuz. and reformation, and as deputy minister for Iraqi Mineral Resources. According to eyewitness reports fully covered and armed individuals riding an Opal vehicle kidnapped Al-Bazi. They also reported that he was beaten severely before he was taken away. He was released later after paying the ransom. March 27, 2007 (Kirkuk) — Two elderly Christian women were stabbed to death in their home in Kirkuk. Fadheela Naoum, 85, and her 79-year-old sister Margaret, were stabbed multiple times by intruders who raided their home Monday night near the Cathedral of the Virgin in Kirkuk. They lived alone and there was no sign of a robbery. The Chaldean bishopcrate of Kikruk issued a statement on March 27 stating that the two sisters were not nuns as reported earlier. March 19, 2007 (Kirkuk) — Ziyad Zito was killed when a car bomb exploded as he was on his way back home. March 2007 (Baghdad) — Muslims in the Dora neighborhood of Iraq are forcing Assyrian Christians (also known as Chaldeans and Syriacs) to pay the jizya (poll tax), a tax imposed by the Koran on non-Muslim Christians and Jews in exchange for being allowed to live and practice their faith as well as being entitled to 'Muslim protection' from outside aggression. At least two cases have been reported to a government employee -- who wishes to remain anonymous -- in which the Christian Assyrian wives were instructed to go to a certain mosque and pay, which they did out of fear. February 26, 2007 (Baghdad) — Architect Walid Abd al-Ahad was killed in al-Nidhal Street while on his way to work. February 25, 2007 (Baghdad) — Bassam Jamil Mansour Breekho was killed in Baghdad due to a bomb explosion at the Administrative and Economy College, University of Mustansiriyya. February 12, 2007 (Mosul) — Goldsmith (Jeweler) Haitham H. M. Ghazala was murdered this morning in Mosul. February 7, 2007 (Baghdad) — Luana, a 22-year-old Christian university student in Iraq confesses that an Iraqi soldier raped her inside her home. She stated, “I thought very hard before agreeing to tell my story. But I cannot allow other girls to suffer the same violence I suffered. In addition to being discriminated against and lacking support." Luana stated that her entire family had fled to Jordan and from there to Sweden with the exception of her and her brother who decided to wait until she finishes university. She continued to state that one day, while her brother was at the university, a group of Iraqi soldiers raided their home saying that they had information that there were insurgents in the area. She added that, “When they were inside my home I saw them giving me strange looks. They asked me questions for about 15 minutes and then they left." Two days later, on the afternoon of November 27, 2006, Luana was alone again when one of the soldiers who had raided their home earlier forced himself into the house and raped her threatening that if she made any noises or told anyone then he was going to return to do it again, kill her brother and take the home away. Luana and her brother went to the police, but the police did nothing. Two months later, Luana realized that she was pregnant. She and her brother went to a doctor where she had an abortion. She concluded, "I hope my story will help girls who are raped in Iraq to decide to tell their story even though it is hard in a traditional Muslim country such as Iraq. But if we remain silent, there will be more girl victims and more girls will lose that so precious thing that God gave them, their virginity." February 5, 2007 (Baghdad) — Deacon Abd al-Khaliq Bakos Mussa Qaryo was murdered after he was kidnapped awhile back. Despite paying the ransom, the kidnappers decided to kill him. His body was transferred to his hometown of Baghdeda for burial. He is the brother of Sister Sophia Bakos of the Christian Dominicans. February 4, 2006 (Baghdad) — Firas Sabah Aboosh Momeeka was one of the victims who were killed when a car bomb exploded in al-Sadriyya quarters of Baghdad. His body was transferred to his hometown of Baghdada for burial. February 4, 2007 (Baghdad) — After two months since his kidnapping, the body of Faris Daniel was found and identified. Faris' body was transferred to his hometown of Telkepe for burial. Faris and Shakeep Poulus were kidnapped together. The body of Shakeep was found earlier. January 31, 2007 (Baghdad) — A high ranking Assyrian official of the Iraqi Airways was gunned down by unknown assassins near his home in Mekanik (Daura). Mr Isaac Esho Alhelani was stopped whilst driving with his wife, forced out of the car and shot twice before the assassins fled with his car. According to his children living in Australia, he was then taken to a hospital in Baghdad, but the hospital did not have the resources or medication to treat his serious wounds. He was then flown by helicopter to the city of Arbil where he died. His body was later taken by car to the city of Kirkuk, the place of his birth, for burial by his wife and sister. Isaac was a graduate from an aircraft engineering school in Scotland in the early 1960's where he studied under a scholarship from the Iraqi Government. Upon his return to Iraq after completing his studies with distinction, he was appointed as an aircraft engineer in the Iraqi Airways and climbed the ladder of promotion until he reached the position of Deputy Director. Isaac, who was 64, retired in December 2006. He leaves his second wife in Iraq and four children from his first marriage. Three of the children, his daughter and two sons live in Australia, and his youngest son is in Syria where he escaped to from Baghdad after being threatened with kidnapping. January 19, 2007 (Baghdad) — Khalis Warda Slewo was murdered by the enemies of democracy in al-Khalis as he was returning to Baghdad. Martyred Warda was a member of the Assyrian Democratic Movement (ADM) and was the distributor of Assyrian Bahra Newspaper. He traveled between Baghdad and Nineveh plain and other regions where Assyrians are present to distribute the newspaper, which is printed in Baghdad. Martyred Warda was born in 1955, he is leaving behind a wife and four children, two boys and two girls: the oldest one is 14 years. January 18, 2007 (Baghdad) — A car bomb explosion in al-Sadr City in Baghdad killed Firas Yousif Yacoub al-Hayali who lives in al-Habibiya quarters. January 16, 2007 (Baghdad) — After a kidnapping that lasted three days, Malek Mansour Behnam Hanna was found murdered by his abductors. His body will be transferred to his home town of Karamlesh in northern Iraq. January 16, 2007 (Mosul) — Two Christian brothers, Wisam and Nasir Banni, were murdered in front of their home in al-Hadba' quarters of northern Mosul, by a group of armed men that fired at the two brothers and killed them, police said. January 16, 2007 (Mosul) — In al-Wahda Quarters, unidentified armed group attacked Sargon Sabah Yacoub and his family while on their way to Baghdeda to visit relatives. Sargon (b. 1979) was killed. His wife Zeena and son Fadi were critically injured and are in hospital. January 5, 2007 (Baghdad) — Like other minority members in Iraq, Mardon Matrood, a 44-year-old Assyrian shopkeeper in Baghdad, has had enough of the country's sectarian violence. "Minorities in Iraq are targeted by insurgents and militias, who want us out of the country as they promote what they call the 'cleansing of Iraq, of non-Muslim communities'," said Matrood who is living with his family of six in an abandoned government building. Four months ago Matrood's family failed to pay a ransom of US $50,000 to kidnappers who had abducted his nephew. The nephew was later found dead. "We are a poor family... we couldn't pay [the ransom money] and after two weeks we were informed that the police had found his body near a mosque in Adhamiyah district (northern Baghdad). It was totally mangled, burned and tortured," Matrood said. December 27, 2006 (Baghdad) — Christmas tree sellers in quarters throughout Baghdad were kidnapped and murdered by armed religious fanatical groups. Five Christmas trees sellers were kidnapped and three others were murdered in the Christian populated quarters of al-Karrada, 'Arassat and Ghadeer in Baghdad. The sellers were displaying their Christmas trees on their local streets as they do always this time of the year when they were attacked, kidnapped or murdered. December 18, 2006 (Baghdad-Mosul) — Three traveling Assyrians disappeared mysteriously while on their way from Baghdad to Mosul. The individuals are: Laith Jawro (from Alqosh), Noel Odisho (from Alqosh), and an unidentified person (from Telkepe). December 13, 2006 (Baghdad) — A young Assyrian man, Ninos Potros Qoryaqos Al-Bazi, was killed as a huge explosion rocked a popular market in the area of New Baghdad. The young man was with his brother at the time of the explosion. The two brothers were transferred to a hospital where Ninos was announced dead. Another Assyrian, Ryan Sami Esho, who owns a store in the area, mentioned that two car bombs exploded in the crowded market. The explosions shattered the windows of his shop completely and damaged others. December 13, 2006 (Dohuk) — Fishkhabour and Derabon (Dair Aboon) are two Assyrian villages that are part of the Zakho district. 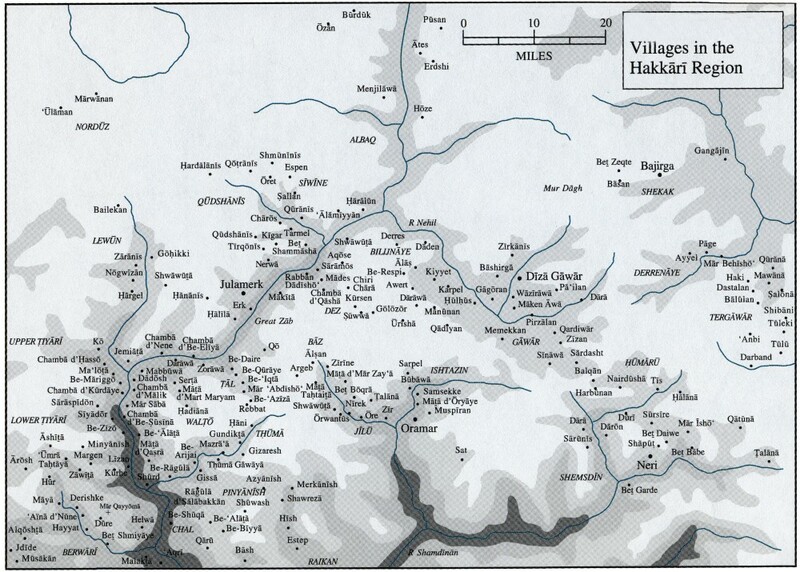 The majority of lands in these two villages belong to Assyrians, the indigenous people of the region. 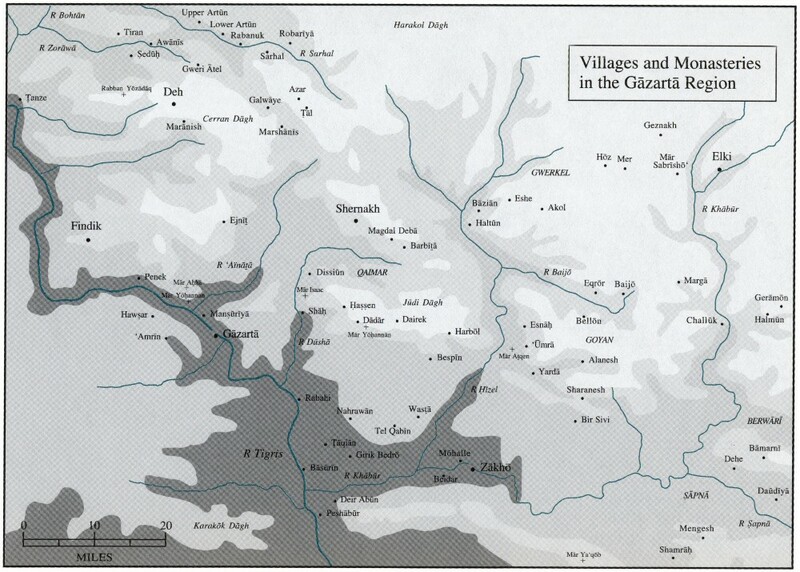 Tens of Kurdish families belonging to the Mirani tribe have illegally appropriated lands belonging to the Assyrians and there are additionally two hundred Yezidi families illegally living in the village of Derabon. Many complaints were presented to the government in charge, but no action was taken to end these violations. Other similar violations in the villages of Qrola, Bidar and others in al-Sindi region continue. In addition, it has been noted that the funds, which are allocated to the building of homes in the region, are wasted due to administrative corruption resulting in the building of houses that don’t satisfy the legal building codes. December 12, 2006 (Mosul) — An unidentified Islamic group placed flyers at the Student Union at Mosul University; the flyers contained messages directed at Assyrian (also known as Chaldean and Syriac) students and were placed in areas where Assyrian students congregate. Witnesses report that University security men observed the men placing the flyers but did not intervene. The flyers warned the Christian Assyrian students that "in cases where non-Muslims do not conform to wearing the Hijab [head cover for women] and are not conservative with their attire in accordance with the Islamic way, the violators will have the Sharia and the Islamic Law applied to them." December 6, 2006 (Baghdad) — An armed group attacked a few men who were conversing in front of a bakery not far from his home in Dora district. Mikha Raheem (age 56), originally from Alqosh, was killed. December 4, 2006 (Mosul) — Fr. Mundhir al-Dayr of the Protestant Church in Mosul was found dead with a bullet in his head, reported AsiaNews. Fr. Al-Dayr was abducted November 26, 2006 and was found dead four days later. A message from the abductors demanded one million dollars as ransom or they will "kill all Christians starting with Fr. Al-Dayr." December 4, 2006 (Baghdad) — Fr. Sami Abd al-Ahad was abducted along with his car in front of his home on al-Sina'aa Street across from the Technology University in Baghdad as he attempted to go to Church. He was released on December 10, 2006, as reported by the Chaldean Catholic Church web site. November 29, 2006 (Baghdad, Iraq) — A terrorist group in Baghdad assassinated Haskial Isaac Benjamin al-Raikani (b. 1950). He was from the Assyrian village of Telkepe (Telkaif) in northern Iraq. Al-Raikani was shot and killed in front of his home in Dora, Baghdad as he attempted to move his family and belongings back to northern Iraq. Al-Raikani was married with three sons and two daughters. November 26, 2006 (Mosul) — Two Assyrians, Shakeeb Polous and Isaac Polous of the Assyrian town of Karamles and his relative Faris Daniel, were abducted today in Mosul. murdered on December 2. The fate of his relative is not known yet. November 26, 2006 (Kirkuk, Iraq) — The Head of the Department of Antiquities and Heritage in Kirkuk, Ayad Tariq, warned from an increase in trespassing on archaeological sites in the city, such as that of Jallo, 15 km. south of the city of Kirkuk. He said that people are building homes within the site, which is one of the most important archaeological sites that date back to ancient Assyrian period. He added that even though the department had built a fence around the site, the trespassing by the locals still continues to increase. November 23, 2006 (Baghdad) — Ishmael Behnam al-Qas Ishak was abducted over a month and a half ago. Yesterday his body was found at Baghdad's Institute of Forensic Medicine. The victim was originally from the Assyrian town of Baghdeda. He was married and a father of three children. Ishmael worked as a taxi driver on the Baghdad-Amman highway when he was abducted. November 22, 2006 (Mosul) — The head of al-Suryan Independent Assembly Mr. Eshoo Majeed Hadaya was attacked and shot to death by unknown assailants as he left the headquarters of his movement in Baghdeda, the Nineveh plain, in northern Iraq. November 20, 2006 (Baghdad) — (AsiaNews) Christians in Baghdad fear yet another priest has been kidnapped. Fr Douglas Yousef Al Bazy - 34 years, Chaldean -- left his parish yesterday morning and has not returned home. October 2006 (Baghdad) — A toddler was kidnapped. The mother, a Christian, could not pay the ransom and the young child was returned to her, beheaded, roasted, and served on a mound of rice. October 29, 2006 (Baghdad) — In the afternoon of October 29, Marvin Emmanuel Khazmi (born 1984) was kidnapped. His body was found the next day at the mortuary with a bullet in the head. Marvin was a third year student at the University of Baghdad, College of Agriculture. October 29,2006 (Mosul) — Ziyad Abdulla Ajaj (22 years young) was murdered by a group of armed terrorists as he left home in the morning going to work in the Christian quarters of al Sa'aa. October 22, 2006 (Baghdad) — Arkan Sabah Yousif was kidnapped. However, his body was found in mid-November. October 21, 2006 (Baquba, northeast Baghdad) — Ayad Tariq (14 years young Christian) was the sole provider for his family that consisted of his father, who was old and could not work, mother, five younger brothers and two sisters. He was forced to quit school, work and provide for his family. His job was to turn on and off an electric generator and attend to it while on his 12 hours shift. On Saturday 21, and around 6:00 a.m., while he was just about to enter the premises of his fenced work, a group of Islamist extremists confronted Ayad and asked for his ID. When they discovered that he was a Christian, they began to scream "kafir … kafir" (Infidel). They dropped him on the ground, different men held each of his arms and legs and a fifth man held his head, put the knife on his neck and cut his throat while screaming "Allah Akbar… Allah Akbar" (God is Great). October 13, 2006 (Mosul) — A group from the Kurdish militia belonging to the Kurdistan Democratic Party (KDP) attacked the Nineveh headquarters of the Assyrian Democratic Movement's TV station, Ashur TV. The KDP militia forced the TV station staff, including two female news anchors, out of the building and forcibly confined them in their vehicle outside of the Bakhdeda (Hamdaniya) TV station. The Ashur TV station staff driver was severely beaten by the KDP militia and was hospitalized. October 11, 2006 (Baquba, northeast of Baghdad) — Dr. Joseph Fraidon Potros (b. 1950) was kidnapped from his working office in Baquba General Hospital. His abductors then murdered him. Dr. Potros was a specialist in dermatology. October 9, 2006 (Baghdad, Mosul, and Basra) — Christians are living a terrified life in Mosul and Baghdad. Several priests have been kidnapped, girls are being raped and murdered. A fourteen-year-old boy was crucified in the Christian neighborhood of Basra. October 9, 2006 (Mosul) — Fr. Polous Iskandar, the priest of Mar Afram (St. Ephrem) Church in Mosul, was kidnapped by armed group on Monday while he was in the industrial quarters of the city. On October 11, he was beheaded by what it seems to be an Islamic fundamentalist group. October 8, 2006 (Baghdad) — Around 6:30 a.m., two bombs exploded by the Church of Virgin Mary on Palestine road in Baghdad. The outer walls of the church were damaged and the windows of many parked cars that belong to the church were shattered. One policeman was killed and many passing by people were injured. October 5, 2006 (Mosul) — The church of the Holy Spirit in Mosul appears to have become the target of a terror campaign. After attacks that took place at the end of September, a group of men opened fire on the place of worship on October 4 and 5, injuring one of the guards who is currently in the hospital. October 4, 2006 (Baghdad) — A series of bombs went off in rapid succession in a shopping district in a mainly Assyrian Christian neighborhood of Camp Sarah in Baghdad, killing 12 people and wounding 56, many of the injured are in critical condition. October 2006 — Two weeks ago, 13 Christian women were kidnapped and killed because they didn't wear the traditional Islamic veils. October 1, 2006 (Kirkuk) — A bomb exploded in front of the home of an Assyrian family in al-Nasr district. The bomb caused injury to one woman in the house and damages to the structure. The family has been receiving threats to leave the city. September 30, 2006 (Mosul) — According to Aswat al-Iraq (Voices of Iraq), 30 Christian families have received threats on Friday September 29 to leave Mosul in 72 hours or be killed. September 26, 2006 (Mosul) — Once again the Chaldean Church of the Holy Spirit was the target of terrorist attacks in Mosul, Iraq. On the morning of September 26, a group of men fired rockets against the building, whilst an explosive devise was detonated outside a usually unused entrance door, this according to local sources. No one was killed or hurt in the incident. They also suggested that the attackers might be the same people who on Sunday fired about 80 shots against the church breaking some windows and causing minor damage. September 24, 2006 (Baghdad) — Terrorists attacked Assyrians after Sunday prayer at the Cathedral of the Virgin Mary of the Ancient Church of the East in Al-Riyadh neighborhood in Baghdad. Joseph Isho and an unidentified small boy were killed and around 17 injured, two of them seriously. Eyewitnesses stated that as the worshipers were leaving the church after Sunday morning mass, a bomb exploded under the car of the Church priest Father Ayzeria Warda, parked nearby the main gate, or perhaps a hand grenade was thrown at them from a speeding car. Immediately after that, another huge explosion occurred from a car bomb parked across the narrow street as the panicked people gathered to check on the injured. September 21, 2006 (Mosul) — Assyrian police officer Ziad Waadallah Jamil was assassinated in Mosul in the area of al-Sa’aa. He was employed with the Nineveh police force and he was attacked by unknown assailants as he was leaving home to go to work. Officer Jamil was born in Mosul in 1981, he was single. September 8, 2006 (Baghdad) — Two bombs exploded in front of the main gate of a church in al-Za'faraniyya. The explosions caused damage to the church and injured the church guards. Fr. Francis Scher was not at the church as he was visiting a family after christening ceremonies. August 31, 2006 (Baghdad) — Manaf H. Yousuf was killed by a bomb that exploded as he was returning home from work in al-Baladiyat quarters of Baghdad. Yousuf was born in 1978 and originally from the town of Bersive in northern Iraq. He was an engineer. August 26, 2006 (Damascus) — According to www.basrahnews.net Dr. Donny George, Deputy Head of the Iraqi Antiquity and head of Baghdad Museum, had fled to an undisclosed address in Damascus, Syria with his family because of the insecurity, lack of resources and the interferences of the Muqtada al-Sadr militias. responsibilities. He faced the above simply because he was a Christian. August 17, 2006 (Baghdad) — Ghassan E. Rofa Haido (b. 1968) was murdered outside Baghdad and in front of a crowd. He had been putting off his marriage because he was anticipating this murder. August 12, 2006 (Mosul) — Two Assyrian brothers were murdered in cold blood while in their own shop in Mosul's quarters of al-Masaarif. The two Assyrian brothers owned a carpentry business in which they sold their furniture too. The two brothers, Akram Aprim Shlimon and Aziz Aprim Shlimon, were murdered in broad daylight and in front of people. The killers escaped using the car that belonged to the two brothers. August 8, 2006 (Dohuk, Northern Iraq) — Akhiqar Gewargis Odisho (b. 1962) was shot at 8:00 p.m. while tending to his sheep. He was shot by a group of Kurdish militia, members of Kurdistan Democratic Party of Barazani. Sherdel Taher Khalid and two other unidentified Kurdish thugs were seen leaving the scene in their vehicle after the shooting. The three Kurds are from the Ekmala village, a neighboring village to Kondi Kosa where Mr. Akhiqar lived. Odisho died at 3:30 a.m. of August 9 from complications of his wounds in Nohadra (Dohuk) hospital. Odisho was married and had three daughters. The Assyrians of Kondi Kosa face continuous trespassing by neighboring Kurds despite pleas to the local government officials and Kurdish Regional Government (KRG). August 8, 2006 (Baghdad) — A week ago, Bassam Shimun Hakim (33), was kidnapped from in front of his large liquor shop in Baghdad. The kidnappers demanded a ransom for his safe release. They were paid $30,000 in cash in addition to a BMW worth $10,000 that was parked beside the business address when he was kidnapped. Still, Bassam's dead body was discovered by police in one of Baghdad's streets two days ago and was kept in the morgue. Bassam was from Alqosh (northern Iraq) originally. He was married with two children. August 3, 2006 (Baghdad) — Chaldean Catholic Auxiliary Bishop Andreos Abouna of Baghdad said that before the 2003 U.S. invasion of Iraq there were about 1.2 million Christians in Iraq. Since then the overall number has dropped to about 600,000. The bishop said 75 percent of Christians from Baghdad had fled the capital to escape the almost daily outbreaks of sectarian violence. July 21, 2006 (Kirkuk) — A car bomb exploded in al-Muhafada St. Salwan Sabah Jabbar, A Christian, was killed and many Christians injured. July 21, 2006 (Baghdad) — In the southern neighborhood of Dora, a Christian (unidentified yet) working for the ministry of higher education was shot dead. July 20, 2006 (Baghdad) — Pamphlets were distributed in Baghdad's quarters of al-Dora demanding from all the residence to evacuate their homes and leave. The pamphlets threatened to kill those who remain in their homes. to evacuate their homes or face extermination. Note: Many Assyrians live in the al-Dora and al-Mashtal quarters of Baghdad. the issue of kidnapping his own sister Tayseer al-Mashhadani and her guards. Addressing the terrorists, Dr. Mahmoud al-Mashhadani stated, quote: “Why kidnap this Muslim woman? Instead of Tayseer, why not kidnap Margaret or Jwan?” Unquote. (Assyrian) and Kurdish women. What is the Speaker of the Iraqi Parliament advocating? Is he telling the terrorists to leave Tayseer and kidnap Margaret and Jwan? July 18, 2006 (Baghdad) — On January 31, 2006, al-Iraqiya Sat broadcasted a clip for an interrogator questioning a terrorist whom along three other terrorists named Jamal, Sabah, and Firas kidnapped three women. The first was a Christian from Za'faraniyya. They raped her and then Jamal killed her. The second was a teacher, a Christian as well, in Diyala. She was raped and then Sabah killed her. The third was a Christian too and an employee at a clinic in al-Madaa'in (ancient Seleucia-Ctesiphon). She was raped as well and Jamal killed her after they raped her. July 17, 2006 (Baghdad) — On Monday 17/07/2006, 10:30 a.m. Father Raad Washan Sawa was abducted by unknown assailants in al-Karada district. The three kidnappers stopped the taxi, which was transporting Father Sawa, forced him out of the taxi and into their car, and then they took him to one of the houses used for such operations. Father Sawa was blindfolded, his hands burned with cigarettes, beaten, and insulted with obscene words. The second day, he was beaten again and dropped on an express way in al-Qanat quarters but not before he was asked to prepare $200,000 U.S. which was going to be collected at a later time. July 13, 2006 (Kirkuk) — A Nissan pickup truck on the side road exploded on Thursday morning near the Syoof area in the heavily Assyrian populated Arapha district. Four adults and a boy were killed and seven wounded, few severely and critically. Police officer Johnny Warda was identified as one of the killed. One adult was unidentified because of severe burns to his entire body. 1. Apartment buildings on the Ankawa properties. 2. Construction of hydro stations on a 90 Dunum of land, which is part of the Ankawa properties. 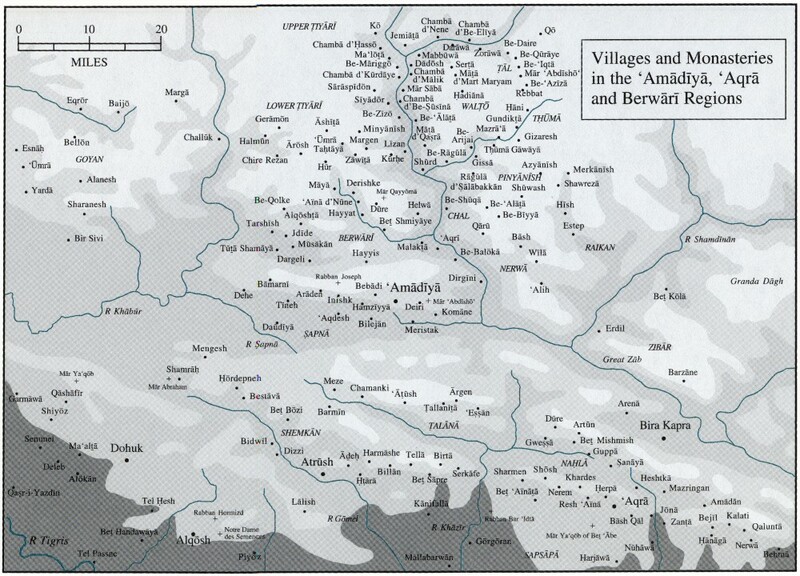 Building the so-called City of Dreams on large portions of lands belonging to the Ankawa farmers. 3. Establishing plant nurseries affiliated with the gardening administration in Arbil on the Ankawa lands. 4. Appropriating more than 500 Dunum of lands, and passing them to the department of agricultural research, forbidding the farmers of their lawful right to the lands, while those who were allowed to cultivate the lands were not residents of Ankawa. July 1, 2006 (Kirkuk) — A Christian who worked as a traffic warden was shot and killed on the streets of Kirkuk two days before his wedding. of KDP's peshmerga against what belongs to the general public. June 30, 2006 (Hamdaniya [Baghdede] - Northern Iraq) — Three Iraqi Police loyal to the KDP Police Chief in the Hamdaniya District of the Nineveh governorate began assaulting civilian passers-by with anti-Christian and racist slurs. The policemen had just come off duty but were still carrying their automatic weapons. As the Iraqi police continued their tirade against Christians in the overwhelmingly Assyrian Christian town, Steven Basim, a young man, left his car to plead with the police to refrain from their insults and threats. The police officers approached the man and one immediately started to strike him squarely on the side of his head with his weapon. As the young man fell to the ground bleeding, the other two policemen then also joined in the beating. Two other Assyrian men attempted to intervene and were also beaten. As a group of onlookers began to approach and question the police regarding the slurs and beating, the police began firing into the crowd. Fearing they could not control the angry crowd, the police called for reinforcements. At 6:30 pm, the police dragged their bleeding, half conscious victim to the police station. Fearing for his life, a group of young Assyrian Christian locals decided to rescue the man from his kidnappers. The local priest, Fr. Loius Kassab, who has enjoyed considerable financial support and favor from the KDP occupying forces asked the group of Assyrians to allow him to intervene to secure the release. As time dragged on, the group of Assyrians became increasingly concerned that the badly beaten man may die in custody. transported him to obtain medical care. June 22, 2006 (Northern Iraq) — New statistics by the Assyrian Aid Society estimated that 1,331 ChaldoAssyrian Christian families (or about 5,561 persons) have fled Baghdad, Mosul, Basra, Ramadi, and Kirkuk and settled in towns and villages in northern Iraq. The Christians are fleeing because of the lack of security or forced migration. The statistics are as follows: 449 families to Dohuk, 119 families to Barwari Bala, 19 families to Mulla Barwan, 52 families to Aqra, 429 families to Zakho, and 263 families to Sapna. In previous statistics, 700 ChaldoAssyrian families were reported fleeing their homes. June 16, 2006 (Basra) — Linda Edmond and her family were forced to leave their home in Basra after receiving death threats. Linda has been a member of the Mar Afram Church Musical Choir for 14 years. Islamic fundamentalists murdered her friend in the choir Shadha Sada Odisho few months earlier. June 14, 2006 (Mosul) — A local police patrol in Nineveh Province harassed and assaulted two Assyrian (ChaldoAssyrian) students in Mosul University after they completed their final exams and were ready to go home. Worth mentioning that the Assyrian students boycotted last year's classes at Mosul University because they were harassed and threatened for being Christians. June 11, 2006 (Baghdad) — A bomb explosion in the al-Karrada district in central Baghdad killed many Iraqis, including Ninos Shamuel Adam, an Assyrian university student born in 1985. June 7, 2006 (Baghdad) — Rushd Noel Essa was killed when a car bomb exploded in al-Sina'aa quarters in Baghdad on Wednesday. Essa was a member of the ChaldoAssyrian Students and Youth Union. He lived in the Assyrian quarters of Dora and was born in 1976. June 3, 2006 (Mosul) — The Assyrian town of Karamles said the last farewell to an innocent 33-years-young Christian woman. Rahima Elias Isha'ya, originally from Karamles, was murdered by a group of armed men in the crowded commercial neighborhood of Dargazliyya in Mosul. She owned a small business where she sold perfumes and make-up related merchandise. The fanatic murderers fired their guns at Rahima while he was inside her shop and fled, said the police. June 3, 2006 (Basra) — Armed men murdered last night a Christian engineer in front of his home in Basra. The Christian engineer, whose name has not been released, worked at the al-Najeebiyya Electrical Circuit in al-Ma'aqal. The murder seems to be due to religious reasons since the engineer was a Christian and there have been many killings against Christians in Basra and efforts to force them to leave the city. June 2, 2006 (Baghdad) — Kaneesat al-Si'aood (The Church of Ascension) was attacked by a rocket bomb last night. The bomb caused damages to the church building and a hole in the church dome. No injuries were reported because the attack happened during the night. May 30, 2006 (Mosul) — Ra'aad Yousif (b. 1976) was found murdered in the Industrial quarters in Mosul. Yousif is from Bartella; he was married and had one child. Yousif owned a bodybuilding gym. Reports from Mosul indicate that the murder is suspected to be an act of revenge over the ownership of his gym as the decision of ownership was in his favor after the public bidding over the gym. He was threatened by the Kurds to withdraw his bid but he refused. May 25, 2006 (Kirkuk) — The ChaldoAssyrian Police Captain Salam Mnati Yousif was shot to death by the hands of terrorists in Kirkuk city, at 2:30 pm, while he was shopping with his wife. Mr. Yousif was born in 1956. He joined the Assyrian Democratic Movement (ADM) after the liberation of Iraq, and was an active member in our ChaldoAssyrian Community in Kirkuk, although he is Mandean (Sabean). Salam Yousif left behind a wife and six children. May 17, 2006 (Mosul) — Abulkarim Hurmiz Bahoda was murdered in a hate crime incident. No details available. May 10, 2006 (Baghdad and Basra) — Reports via e-mails and phone conversation with Assyrians in Iraq confirmed that Assyrian Christian women have been forced to wear the Islamic veil or face death and Assyrian men are being ordered to grow beards in the Muslim fashion. May 7, 2006 (Arbil) — A priest while on his way back to Mosul after finishing his religious duties in Arbil was stopped at a Kurdish police search point. The priest was searched, distressed, insulted, and threatened not to be allowed to cross to Mosul for no apparent reason. He was finally allowed to cross the checkpoint when an Arabic speaking Kurdish police intervened. April 30, 2006 (Mosul) — An attack by a terrorist(s) on worshippers at the Assyrian (Suryani) Orthodox Church of Mar Afram in Mosul resulted in seriously injuring two Assyrians who were transferred to a hospital. April 26, 2006 (Mosul) — Yousif Odisho Giwargis al-Baylati (b. 1965) was shot and killed in the Assyrian quarters of al-Dawwasa in Mosul. Motives are still unknown, but it seems that he was targeted because of his ethnic background. Giwargis was an Iraq-Iran war veteran and was injured during that war. April 22, 2006 (Ankawa, Arbil) — Kurdish policemen, namely Badr, Hikmat, Sammeh, and Sourood that were part of the guarding duty under deputy Sulaiman, attacked a peaceful Christian civilian simply because he accompanied a friend who had a question about a specific problem. April 12, 2006 (Baghdad) — James Benyamin, an Assyrian resident of New Baghdad district of Baghdad, was shot and killed by insurgents while working in Balad, about 20 miles east of Baghdad. Balad is a small city in the province of Salah-Al-Deen, the birthplace of the former Iraqi dictator, and a hot bed for insurgents and terrorists. April 7, 2006 (Dora, Baghdad) — Shimshon Awisha (Abu Robi), brother of David and Abbi Awisha, was murdered near the Assyrian Club in Dora district as he was heading home. The killer stepped out from a car, walked towards Mr. Awisha, and shot him dead. April 7, 2006 (AKI, Baghdad) — The Mujahadeen Council, a leading insurgency group linked to al-Qaeda in Iraq, has announced the killing of a Christian in Mosul "for offending the prophet Mohammed." In a statement posted to the Internet, the group, whose military arm is still headed by Jordanian militant Abu Musab al-Zarqawi, said that on Tuesday it "eliminated" a Christian in Mosul. "We eliminated him, because this impure crusader offended our noble prophet Mohammed. We killed him in the al-Tahir quarter of Mosul" it read. April 6, 2006 (Dora, Baghdad) — Wasan Matti, sister of Fr. Wisam Matti of Mother of God Church, was killed from gunshots by an Islamic terrorist group. She was with her husband and 2-year-old daughter in their car returning home from a doctor visit. Wasan was six months pregnant and would have celebrated her 30th birthday on April 18. April 5, 2006 (Mosul) — Toma Hurmiz Toma al-Kanni was shot and killed by unidentified assailant(s). The shooting occurred as Toma was standing in his own front yard garden in the al-Mansour quarters of Mosul. March 7, 2006 (Mosul, Iraq) — Assyrian Kamil Sulaiman Hurmis, who owns a factory in Dawwasa Assyrian quarters of Mosul, was threatened unless he pays huge amounts of money to those who threatened him. Mr. Hurmiz locked his shop and left his home and the town. March 7, 2006 (Mosul, Iraq) — Assyrian Sinan Abd al-Jabbar, who was kidnapped last Saturday (March 4), was murdered. His body was found thrown in a stack of hay in Al-Tahrir quarters in Mosul as his family failed to pay the $50,000 ransom. Sinan was married with one baby of 5 months young. March 6, 2006 (Mosul, Iraq) — In a phone call with Giwargis Samuel in Mosul, Mr. Samuel stated that fundamentalists are sending threat letters to Assyrians and Christians in town and telling them to leave Mosul or face death. February 27, 2006 (Baghdad) — A car bomb went off in al-Ameen quarters of Baghdad at around 7:00 p.m. on Monday. The bomb exploded and killed Mahir Toma Oshana minutes after he left his home. Mahir was born in 1967. He was married and had three young children. His sister Linda Toma, who lives in Norway, verified what happened after receiving the sad news from her parents in Iraq. February 24, 2006 (Mosul) — Ni'mat Mattai Jiddo was killed by fundamentalists in Mosul. Details are not yet available. Ni'mat was married and had two children. January 29, 2006 (Mosul) — According to Elaph, Muslim students in Mosul University beat tens of Christian students. This occurred days after a Danish newspaper published an insulting caricature drawing of Muslim prophet Mohammad. Muslim clerics in Mosul, under pressure from Islamic militias, issued fatwa (religious edict) calling their followers to "expel the Crusaders and infidels from the streets, schools, and institutions because they offended the person of the prophet in Denmark." January 29, 2006 (Baghdad and Kirkuk) — Six Churches bombed in Iraq Today, Sunday, six churches were bombed in Iraq. In Baghdad, a car bomb detonated at 4:10 p.m. outside St. Joseph's Roman Catholic Church in the eastern Baghdad suburb of Sina'a. About 20 minutes later, another vehicle exploded outside the Anglican Church in eastern Baghdad's Nidhal area. The Churches of Mar Addai and Mar Mari Catholic Church in al-Binook and St. Petros and Polous Orthodox Churches were bombed as well. Simultaneously, in the northern city of Kirkuk, the Church of the Virgin in Kirkuk was bombed at 4:30 p.m. That explosion came 15 minutes after another car bomb exploded outside St. Ephrem Orthodox Church. Three are confirmed dead, including Fadi R. Elias, 13 years old originally from Alqosh, and many wounded. January 20, 2006 (Baghdad, Kuwait News Agency [KUNA]) — A group of armed men raided the home of the former Iraqi football (soccer) player and coach Emmanuel David, better known as Ammo Baba, in Zayoona, in the center of Baghdad. The 74 years old former coach Baba told the police: "The armed men tie me up, folded my eyes, and began to beat me up." The armed men stole Baba's money and belongings. Most recently, Ammo Baba received some donations from Iraqi officials to cover necessary medical treatment outside Iraq. Ammo Baba has diabetes, which resulted in the amputation of two of his right foot toes in a surgery he underwent last year in Amman, Jordan. He has been suffering from poor vision lately as well. Ammo Baba stated that stealing his money would delay his treatment and threaten his life. As the coach of the Iraqi national football team, Ammo Baba led Iraq to three titles in the Arabian Gulf football tournaments and the gold medal at the 1982 Asian Games in India. January 17, 2006 (Baghdad) — A group disguised in the Iraqi National Guards uniforms knocked on the door of Deacon Sami Matti Sliwa (known also as Abu Addison). As the door was opened, they pushed themselves in, began to search the house, brought terror to the family, and when they found nothing they took Deacon Sliwa away. Two hours later, they called the family and told them that Deacon Sliwa was a hostage and that they were a kidnapping and robbery gang and demanded ransom. Deacon Sliwa is not a member of any political group or organization and he is the only provider of his family. Saturday, January 7, 2006 (Baghdad) — The Christian Science Monitor named female US freelancer Jill Carroll as the kidnapped journalist in Baghdad, Iraq. The kidnapping occurred in the western Baghdad's Adil neighborhood on January 7, 2006. The body of her Assyrian interpreter, Allan Enwiya, 32, was later found in the same neighborhood. Enwiya was able to tell soldiers that Carroll had been kidnapped before he died from the two bullets in his head. January 01, 2006 (Dora, Baghdad) — Ayad Loqa Lazar (born in 1962 in Kirkuk), a member of the Assyrian Democratic Movement), was attacked and murdered today at 7:00 a.m. by terrorists while on duty in Dora district. Ayad was married and had two children. January 01, 2006 (Kirkuk, Iraq) — During demonstrations today in the quarters of Raheem Awa in Kirkuk, where Assyrians and Kurds live, Youkhana Yaqo Youkhana (born in 1936 in the Assyrian village of Deri) was killed by mistake by American troops who were shooting to clear up a demonstration protesting the high prices of fuel. Youkhana was heading home from his work when he was caught up in the middle of the demonstration. Youkhana Yaqo is the father of Emad Youkhana, a member of the Assyrian Democratic Movement. December 12, 2005 (Mosul, Northern Iraq)Police Officer Ivan Giwargis Zaia was assassinated in al-Sina'aa Quarters in Mosul. Ivan was born in 1976. December 2, 2005 (Kirkuk, Iraq) — Sarmad Behnam Ibrahim (b. 1974), an Assyrian, a member of the Assyrian Democratic Movement and an officer in the Kirkuk Police Department, was murdered while on duty. November 29, 2005 (Mosul) — Gunmen in two cars opened fire today on four members of the Assyrian Democratic Movement as they hung Iraqi election posters in Mosul, killing two of them. One person was also wounded in the morning attack, according to Dr. Bahaldin al-Bakri from the Jumhouri hospital. The gunmen began firing while the party officials were pasting posters on walls for the coming parliamentary elections in al-Shuhadaa neighborhood in northeast Mosul around 1:30 p.m. local time. 1. Martyr Yousif Nabil Ishmael - from Baghdeda (born 1986). 2. Martyr Gewargis Brikha Youkhana - from Nahla (born 1980). 3. Simon Edmon Youkhana - injured (born 1983). 4. Milad Zakkar Mansour - (born 1987) - He is currently in a life threatening condition after receiving a gunshot wound to the head. November 21, 2005 (al-Ghadeer quarters, Baghdad) — Baghdad police announced that a group of armed men stormed a Christian home in East Baghdad's al-Ghadeer quarters, which has a Christian majority, and killed four Christian women in the house. November 2, 2005 (Kirkuk, Northern Iraq) — On Wednesday, at approximately 5:00 p.m., a car bomb exploded near the Church of Mar Giwargis in the Assyrian quarters of Almas district in Kirkuk. One of the three civilian victims was an 18-year-old Assyrian, Sarmad Fadi Kamil. His father was injured in the explosion. October 27, 2005 (Tikrit, north of Baghdad) — A group of terrorists attacked an Assyrian family killing Younan Gharib and seriously injuring his wife and brother-in-law. Younan has been staying in Syria because of the conditions in Iraq. He had decided to return to Baghdad, move to northern Iraq, and live there among his extended family in a village by the Iraqi-Turkish border. October 17, 2005 (Elaph: Baghdad) — A group of armed men entered the apartment of Nomat'eel Hasra, an Assyrian woman living in the New Baghdad district, in eastern Baghdad, and killed her. No reasons are yet known. August 26, 2005 (Bartella, North of Iraq) — Two groups of armed men in military uniforms began shooting near a gas station in Bartella. Nabil Akram Ammona (b. 1968, married with two children) was killed instantly and Matti Shimon Sha'ya (b. 1950, married with four children) was hit in the head and is struggling to survive. It has been reported that the KDP member peshmerges killed the two Assyrian civilians by shooting them in the head. The Iraqi sources commented on the event and said that the Assyrians holding demonstrations against the constitution resulted in the reaction of the Kurdish peshmerges. According to the received information, Nabil Akram Ammona was shot down dead in the head by the KDP peshmerges in Bartilla. While waiting for the tank of his car to be filled up at the gas station, the KDP pehmerges entering the station got out of their vehicles and approached Ammona and took the gas pump out of the tank of the car. Later, they killed Ammona shooting him in the head. Meanwhile, Matti Shimon Zora Sha'ya who wished to take Ammona to the hospital was shot by the same peshmerges and in the same way. Sha'ya who was taken to the hospital after the peshmerges escaped the crime scene, died at the hospital. August 14, 2005 (Dora district, Baghdad) — On Sunday, August 14, 2005, Ayad Dawood Gergis was driving his car to work when he was attacked and killed by unknown gunmen. August 11, 2005 (Kirkuk) — On Thursday, August 11, 2005, Engineer Sa'aad Fouzi was kidnapped opposite Sonobor Hotel in al-Muhafada St in Kirkuk. His body was found later stabbed repeatedly and thrown in Kornish st. Sa'aad was 29 years old and worked as an engineer in Northern Oil Company. August 9, 2005 (Baghdad) — In Baghdad, Dura quarters (al-Mekanik), Sargon Esho (born 1983) was shot and killed on August 9, 2005 near Mar Zaia Church as he was preparing to get some groceries. August 8, 2005 (Mosul) — In Mosul, the body of Anita Theodoros Harjo (born 1985), a student in Nineveh Art Academy, was found on August 8, 2005, thrown in 'Akkab cemetery. Anita was kidnapped in al-Zohoor quarters while on her way to an Internet Café. August 6, 2005 (Mosul) — In Mosul, armed men kidnapped pharmacist Noel Potrus (born 1963) and his brother Amar and an Arab who worked in the pharmacy on August 6, 2005. Noel's body and that of the Arab were found thrown on the side road north of Mosul. Amar was released after paying $50,000 ransom. August 4, 2005 (Mosul) — On August 4, 2005, Dr. Noel Petros Shammas Matti was kidnapped by an unknown group. He was found dead the day after his abduction. Dr. Matti was born in the village of Bartilla in 1962; he was married and a father of two daughters. He was a lecturer at the Medical Institute of Mosul University and owned a pharmacy in the same city. July 22, 2005 (Baghdad) — Gunmen fired on a car carrying newlyweds who were married last Wednesday and their families, killing the bride (Salay, 22) while wounding her mother, groom (Wisam Abdul Wahad, 24) and driver (Marcel Ishoo) in the southern Dora neighborhood of Baghdad according to police and medical officials. July 16, 2005 (Habbaniya, Ramadi) — A small explosion rocked the Assyrian Church in Habbaniya, Ramadi in Iraq. There was some damage to the roof of the church. No civilian injuries have been reported yet. July 7, 2005 (Baghdad) — On Thursday, a Christian owner of a Liquor shop was killed. A car stopped in front of the store that sells in al-Karrada quarters in center Baghdad, an armed man stepped out of the car, and began shooting at the owner. The owner of the shop was killed instantly. July 3, 2005 (Baghdad) — Younadam Youkhana Shimun (born 1963) was attacked and killed in a hate crime related motive. His son was injured in the operation. Mr. Shimun was married and had two sons and a daughter. June 2, 2005 (Kirkuk) — A car bomb exploded in the Arapha Assyrian quarters. Randy Robert Alexin (5 years young) who was riding with his parents in their own car was killed immediately, while both his parents were injured and transferred to a near by hospital. Funeral was held in St. George Church in Almas quarters. June 1, 2005 (Mosul, Nineveh Province) — Ghassan Fahmi, (b. 1977) owner of Ghassan's D.J. and Recording business, in al-Zuhoor quarter, was kidnapped by an unidentified group from his business place on Wednesday June 1. He was murdered and his body returned back two hours later. May 18, 2005 (Mosul, Nineveh Province) — Laith Zuhair Gibraeil Hoodi (b. 1977) was killed immediately on Wednesday morning when a rocket hit his home in al-Sukkar quarters in Mosul. His mother I'atimad abd al-Ahad was hit by many splinters in her arms, legs, and other parts of her body, she remains in critical condition in the hospital. place and Ishaq passed away in the arms of his old father. March 27, 2005 (Mosul) — Kifah Mattai Ibraham was found murdered in Mosul. He was kidnapped on March 3. He was born in 1962 and is married. He ran his own stone factory business in Mosul. March 23, 2005 (Dora, Baghdad) — Karim Elia Abouna, an Assyrian originally from Alqosh, was murdered in the Assyrian quarters of Dora, Baghdad today. An armed group of men entered his shop, shot him five times with light guns and he was killed immediately. March 16, 2005 (Kirkuk, Iraq) — General Wael Yousif Yacoub, a Chaldo-Assyrian, was assassinated earlier today while returning home from Baghdad, a reporter of the Iraqi News Agency said today. According to eyewitnesses, armed men surrounded the general's car and began shooting; he was killed immediately. General Yacoub worked as an officer in the Internal Affairs Department of the Kirkuk Police. He was credited with the re-opening of the Kirkuk police force after the fall of Saddam Hussein. General Yacoub represented the Christians' voice in the affairs dealing with the local Police Board and was an ex-officer in the Iraqi army. General Yacoub was also a deacon (shamasha) at the Chaldean Catholic Cathedral in Kirkuk and considerably respected in his community. Sources to Zinda Magazine indicate that lately General Yacoub had been openly criticizing the Kurdish position on the ownership of the city of Kirkuk. Wael was murdered when a car stopped next to his and began to fire at him. Wael was from Telkepe originally. He became a member of the ADM after the liberation of Iraq in April 9, 2003. He was an Engineer. He is married and had two daughters. Islamist Ansar al-Sunna army announced its responsibility for the killing. March 15, 2005 (Basra, Iraq) — About 30 members of the gang of Mugtada al-Sadr (the al-Mahdi Army) attacked a group of Engineering College students of Basra University. The students were having a picnic at al-Andalus Park, downtown Basra, when a hooded gang in the name of Islam attacked and began to beat them with batons and sticks. One Christian student Zahra Ashor was killed and fifteen others students were badly injured. When a fellow student attempted to help Zahra, he was shot in the head. At least 20 students were kidnapped and taken to Sadr's office in al-Tuwaisa for 'interrogation' and were released late at night. The gang stole the student's belongings, including telephones, jewelry, and destroyed the tape recorder they were using to listen to music and many tapes. The attacks are because the female students were not wearing the Islamic hijab (veil) and because the students were listening to music. December 2004 (Iraq) — Hundreds of Christian families are escaping to Syria and Jordan before the arrival of Christmas and the New Year festivities as they fear increasing acts of killings against them. December 11, 2004 (Mosul) — Three days ago Sabah Hurmiz of Alqosh (married with three children) and his friend from Batnaya Saalim Potrus Daddaya (married with two children) were reported missing. Today, the bodies were recovered at one of Mosul's hospital. The bodies were recovered and burial ceremonies underwent soon after. December 9, 2004 (Baghdad) — Few days ago, two Assyrian Christians were kidnapped from their business place and then murdered by unidentified terrorist group. The two Christians owned a hall used for celebrations in Baghdad. The first victim is Fawzi Soorish Luqa of 'Ankawa (b. 1961) and the second Haitham Yousuf Saka of Bartella. University and was a successful surgeon. December 7, 2004 (Mosul) — Two churches, Al-Tahira, Chaldean Catholic Church, and one of the most beautiful churches in Mosul and another Armenian church that was under construction, were bombed in Mosul today. The first blast struck the al-Ttahira (meaning the pure, in reference to the Virgin Mary) Church about 2:30 p.m. in al-Shifa' neighborhood, eastern Mosul. Ten armed men stormed the church, planted explosives throughout it, and set the bombs off wounding three people and destroying most parts of it. An hour later, gunmen bombed in al-Wahda neighborhood, western Mosul, an Armenian church under construction. No casualties were reported there. December 2, 2004 (Mosul) — A few days ago, Imad Jameel Younan (born 1975), married with two children, was confronted with criminals who murdered him and stole his private taxi. Younan was a resident of the Assyrian town of Baghdeda. December 2, 2004 (Mosul) — The body of Laith Antar Khanno (29 years) of Baghdeda was found near Mosul Hospital in the al-Wahda quarters, east of Mosul. Khanno was kidnapped two weeks ago and the kidnappers asked first for a ransom of $1,000,000 then dropped the figure to $100,000; however, his family could not come up with this large amount of money to rescue Khanno. Khanno had worked for a foreign company in Baghdad and had traveled to Mosul to open a branch there. His body was found first and the head was found later at a distance. Khanno was married three years ago and had one daughter. December 2004 (Iraq) — Hundreds of Christian families are escaping to Syria and Jordan before the arrival of Christmas and the New Year festivities as they fear increase acts of killings against them. November 30, 2004 (Salah al-Din) — Sabih Mousa Abada (born 1949), married with five boys and three girls, was killed when a car bomb exploded on a side road in Baiji. Abada worked as a driver at Baiji refinery. He had stopped to assist a stalled school bus. Abada was a resident of the Assyrian town of Baghdeda. Assyrian Democratic Movement (ADM), was a cadre in the al-Karkh Branch in Baghdad. He was shot and killed in Mosul, whilst on leave. November 21, 2004 (Baghdad) — Essarhadon Elia al-Qas Oraham (born 1977) was killed near al-Mashriq Club in Camp Sara quarters around 8:00 p.m. Sunday night. The two killers attempted to steal his Ford car, which he used privately and sometimes as a taxi, however, he resisted and they shot him. He leaves behind a wife and a 2-year-old girl. November 19, 2004 (Mosul) — A mortar shell killed two Assyrian brothers of the town of Bartella. Muntadir As'aad Matti and Bashar As'aad Matti were killed while at work when the bomb fell on the shop they worked at in Mosul market. November 8, 2004 (Baghdad) — Two bombs exploded outside two churches in southern Baghdad quarters of Dora. Three people were dead and around 40 to 50 injured. The news was reported in the afternoon by CBS, ABC, and by FOX NEWS at 3:05 with Brit Hume during his segment Special Report. said. Witnesses reported that 18 people were slightly injured in the explosion. The second car bomb detonated minutes later, less than a mile away, outside the St. Matthew Church, killing three people and wounding 34, said a policeman on the scene who declined to give his name. November 4, 2004 (Falluja) — Dr. Nadia Hanna Murqos was killed near Falluja while returning from Syria. Her husband and son were injured in the attack on their car. Assyrian family in Dora, Meekanik quarters, south of Baghdad. 'Alaa' Andrawis (b. 1965), his wife Evelyn Malkizdaq, and their 10-years old son were shot at while in their car. Andrawis and his son were killed instantly, meanwhile, the mother was injured badly in her head and was transferred to a hospital where she is undergoing surgery. 'Alaa' Andrawis and Evelyn Malkizdaq had three children; the oldest is 12 years old. Fifteen days earlier, Andrawis's cousin, Yasmin Boodagh, and her daughter were killed in Dora by a bombed car. Additionally, beginning of this month, Sargon, son of the Assyrian poet and writer Odisho Malko, was kidnapped in Dora. The family had to give the kidnappers their private car and a certain amount of money as ransom to secure Sargon's release. October 25, 2004 (Mosul) — Four unidentified armed men tried to force themselves inside the home of Nasrin Shaba Murad, an Assyrian Christian woman, in the quarters of 17 July in Mosul. When Nasrin Shaba Murad, a housewife aged 42, tried to escape to her neighbor's home, the gunmen opened fire and killed her. Nasrin is a mother of three children. Her body was transferred to Sinjar where she was buried. October 30, 2004 (Mosul) — Ma'an Yousuf, an Assyrian male, was confronted by three men (two masked and one unmasked). Yousuf was killed in his electrical supplies shop in Dawwasa street in Mosul at 7:30 p.m. when the unmasked attacker shot him with three bullets in his head and the three escaped in their car. Baghdad. Economical hardship forced her to seek employment as an instant translator in the Assyrian quarters of Dora region in Baghdad to support her two very young children, Manar and Mina. She was killed in cold blood on Thursday October 21 while on her way back home after completing her tenth day of employment. The killer mercilessly emptied his bullets in her head. October 21, 2004 (Mosul) — Mr. Yonadam Kanna, one of the ChaldoAssyrian representatives in the Iraqi National Assembly, exposed the unfair and chauvinistic acts against the minorities in Mosul, including the Christians, who live under harsh circumstances. In his interview with al-Hayat on October 21, 2004, Mr. Kanna exposed the unfair actions by the Mosul Municipal Office, which is selling lands that belongs to minorities and rent them to others. He asked the Iraqi government to lift infringes and oppression against the Christians, Shabak, and Yezidis due to the ethnic and religious injustice inflicted on these groups by past subsequent Iraqi governments. October 20, 2004 (Mosul) — The 18th Session of the Iraqi National Assembly addressed the escalating troubles in Mosul. Mr. Yonadam Kanna stated to the al-Sabah al-Jadeed (The New Morning) that what is happening in Mosul is alien to Iraqis. Many families have been slaughtered and killed. Additionally, Mosul University imposes strange and unreasonable customs on the students. Meanwhile, hundreds of families have abandoned the city of Mosul and moved to Dohuk and other neighboring towns. October 16, 2004 (Mosul) — 1500 ChaldoAssyrian Syriac students that attend Mosul University have decided not to attend university classes effective today. The students have been harassed repeatedly and have been receiving numerous threats from terrorists and Islamists who are taking advantage from the non-stability and management chaos at the university. October 16, 2004 (Baghdad) — In an apparently coordinated strike against Iraq's tiny Christian community, the church of Saint Joseph in the west of the Iraqi capital was hit at about 4:00 am (0100 GMT), the spokesman said. Twenty minutes later, another blast ripped through the streets at another Saint Joseph church, in Dora, southern Baghdad. After another 20 minutes, Saint Paul's church was struck in the same area. At 4:50 am, the Roman Catholic St. George church in the central district of Karrada was rocked by a blast and engulfed in flames, leaving the wood-built sanctuary completely charred. A fifth explosion occurred about an hour later at Saint Thomas church in Mansour, to the west. The violence resumed hours later when an artillery shell was fired into a car park between a hotel and Saint George's Anglican Church, witnesses and US soldiers said. October 5, 2004 — According to www.epd.de in Göttingen, the Secretary-General of the Society for Threatened Peoples, Tilman Zuelch who is presently in Iraq, stated that twenty ChaldoAssyrian Christians were killed in September of this year alone by Islamic terrorists and 80 since May 2003. Forty thousands have left Iraq already to Syria and Jordan. Furthermore, Christian families in central and southern Iraq have lost hope in being able to live in peace among the Arabs, said Zuelch. members in his family so he had to mark four shi'aa and four Sunni to avoid antagonizing either parties. Even though he did not convert to Islam, he had to respond to this flier as per the instructions. In other incidents, three Assyrian girls were murdered in Mechanic district in Baghdad for not wearing Hijab (Moslem veil) or for dressing improperly. October 5, 2004 (Mosul) — The Christians of Ba'asheeqa and Bahzani, near Mosul in north of Iraq, were shocked this afternoon when they discovered Fadi's body. The 'Aaid Khidir Shamoon family was devastated as they witnessed the body of their 15-years-old son Fadi. Fadi's body was found burned after he was beheaded. Fadi was kidnapped while he was riding his bike, which his father had given to him as a present, in the 'Ain 'alaq orchards in Ba'asheeqa around 12:00 noon. His body was treated in the most barbaric way; he was mutilated, burned, and thrown in the Ba'asheeqa-Teez Kharab road in front of al-'Azzawi ranch. Earlier, Ba'asheeqa mourned another son, Julian Afram Yacoub, 14-years-old, when he was hit in the head with a concrete block and then burned. The murderers have been targeting innocent children, which are forcing many Christians and Yezidis to flee their homes and villages. October 4, 2004 (Mosul) — Hazim Sako (Abu Sarmad) was transferred to a hospital when gunmen opened fire on him and his family. Sako owned a liquor store in the Assyrian populated Dawasa district in Mosul. He passed away soon after, meanwhile his family struggles for life in the hospital. We are awaiting for more details about the murder. 'Aamer Nissan (b. 1968), 'Aadel Nissan (b. 1972), Amer Khoshaba (b. 1965), Emanuel Nissan (b. 1945), Maradona Emanuel (b. 1984), Na'aeem Gewargis (b. 1978), Bassam Elias (b. 1982), Rasim Elias (b. 1984), and Amir Shabo. September 23, 2004 (Mosul) — Threatening pamphlets were distributed in Mosul University and walls around campus carried threading messages to use acid solution to burn the faces of any girl who does not cover her face with the hijab (veil) as the university opened its door for the new school year. The pamphlets stressed that the threats are not directed at Moslem girls alone but Christians and Yezidis as well. Earlier, the faces of two Christian girls were burned with acid as they were attacked in the popular gold blacksmith market in Mosul. Christian and Yezidi girls are afraid of attending university this year; however, the university is promising protection. September, 2004 (Mosul) — The beheading of two Assyrians: Raymond Farooq Shimun and Firas Hadi Potrus (b. 1978 and Mosul University graduate), was distributed through a CD in Mosul by an Islamic group calling itself the Salah al-Deen al-Ayoubi brigade. The CD did not indicate the date of the beheading. It is worth mentioning that Salah al-Deen al-Ayoubi was a Kurd and reports from Iraq suggest that the group is Kurdish Islamist that is trying to force the Assyrians out of their ancestral lands. September 11, 2004 (Baghdad) — This evening, a car bomb exploded outside the Virgin Mary Seventh-Day Adventist Church in the Al-Sa‘doun Park in the center of the Iraqi capital, Baghdad. According to eyewitnesses, it was difficult to know firsthand whether the explosion was an act of a suicide bomber or the car exploded by remote control. The explosion caused a great deal of damage to the church shattering glass windows, but harming no one, according to the priest and an Interior Ministry spokesman. September 10, 2004 (Mosul) — On the eve of September 10, following the celebrations of Holy Cross day (Aida D'Sliwa), at approximately 11:30 P.M. a mortar attack was launched on the inhabitants of the Assyrian town of Bakhdeda, in the Qaraqosh, Hamdaniya District. Three of the many mortars fell on roofs of homes where several Assyrians were injured during their sleep. An accurate count has yet to be made, but it has been confirmed that a 13 year old child, Mark Louis Sheeto, was killed and his mother, Bushra Toma Sheeto, and his 8-year-old brother Bihnam Sheeto sustained serious injuries. This attack seems to be part of a string of attacks planned to drive the native Assyrians out of their homeland. Bakhdeda (the name was changed to Hamdaniya by the Saddam Regime as part of the Arabization process) was felt to be a prime target as it houses over 30,000 Assyrians and is at the heartland of the Assyrian region. September 10, 2004 (Baghdad) — A bomb exploded at the Assyrian Anglican Church at al-Andalus Street in Baghdad. The explosion occurred during the night. No casualties were reported. September 2, 2004 (Mosul) — In the al-Mayasa (al-Sa'aa) Christian district, Khaled Boulos (32) and his brother Hani Boulos (28), known also as the sons of Hasina, were murdered. The deceased Assyrian brothers were known for their patriotic stands in Mosul in defending and assisting other Assyrians. According to eyewitnesses, on September 2, at noon local time, a car carrying a group of armed terrorists pulled by the Boulos brothers, came out of the car, and began firing heavily at the two Assyrians, killing them instantly. September 1, 2004 (Mosul) — In a terrorist attack on the Governorate of Nineveh building, Mr. Nisan Sliyo Shmoel, of the Assyrian Patriotic Party was injured. Mr. Shmoel was taken to hospital where he was treated. Mr. Shmoel was released from the hospital after his treatment; however, the terrorists were awaiting his release and targeted him with an unmarked car (not carrying plate numbers), which they used to drive over him in front of the hospital entrance. Mr. Shmoel died immediately. Martyr Nisan Sliyo Shmoel was 43 years old. Mr. Shmoel is survived by his wife and six children, five daughters and one son, with the oldest being 15 years. September 1, 2004 (Baghdad) — In the district of Karrada (Arkhita), a terrorist bomb exploded killing Mr. Gewargis Youaresh Nisan. A timebomb in the aforementioned district that is heavily populated by Assyrians setup the explosion. August 31, 2004 (Bartella) — Three Assyrian girls were slaughtered in the Assyrian village of Bartella near Mosul while returing home from their work at a hospital in Mosul where they worked. Few days earlier, terrorists left CDs in the region filming the slaughter of two other Christians of the same town. Betros and her sister Hala Abdul-Massih Ishaq Betros. The attack took place in the section between the Television area and the Kokajli area on the main road between Mosul and Bartilla. Also injured in the attack was another Assyrian woman, ‘Amera Nouh Sha'ana, who was also returning home to Bartilla and the Assyrian driver, Naji Betros Ishaq. The three female victims were in their twenties. August 1, 2004 (Baghdad and Mosul) — Five Assyrian (also known as Chaldeans and Suryan) and one Armenian Churches were bombed simultaneously in Baghdad and Mosul. Twelve Assyrians were killed and some 60 injured. administrative positions in Dohuk province such as deputy governor, qaimaqams for qadhas, or mayors for villages despite the fact that the Assyrians make the second largest ethnic group in the said province and make a majority in certain of these villages. The KDP's most recently has prevented Assyrian groups and organizations such as the Assyrian Democratic Movement (ADM), ChaldoAssyrian Women Union and ChaldoAssyrian Student Union in Dohuk from being part of the special electoral committee and from nominating their representatives from this province (governorate). This special electoral committee is to participate in the Iraqi national conference planned for end of July 2004. This, the Kurds have done despite the fact the Assyrian Democratic Movement has been part of every opposition group meetings before the fall of Saddam, then was part of the Iraqi Governing Council and today is part of the Iraqi Cabinet and is part of the high commission that is setting the stage for the national conference. Worth mentioning that from this national conference, a temporary Iraqi national Assembly should be selected until the national elections are held in January 2005and a permanent assembly is elected. The KDP is in violation of all previous agreements and understanding reached upon by Iraqi opposition groups before and since the fall of the Ba'ath regime. Every political group, institution, tribes, segment of society and notables were to take part in the democratic political process in the new Iraq. Assyrians in the Diaspora call upon the Iraqi President, Prime Minister, government agencies, the United Nations and world organizations to interfere and undo the Kurdish oppression, marginalization and trespassing against the Assyrians in north of Iraq. July 19, 2004 (Mosul) — Sources stated that unidentified attackers equipped with automatic weapons attempted to kidnap an Assyrian man, Hani Yohanna Naoom (43) around 7:00 a.m. near his convenient shop on Dawasa Street, near the government building. The victim tried to escape from his kidnappers; he was shot and killed. July 17, 2004 (Mosul) — An unidentified group using automatic weapons entered a pizza shop at the al-Zihoor quarters around 3:00 p.m., shot and killed Adeeb Aqrawi, an Assyrian young man, working at the shop. July 2004 (Dohuk) — Latest news from Iraq indicate that the Kurds and Kurdistan Democratic Party (KDP) officials under Masuad Barazani are preventing Assyrians from moving back to their original homes in Dohuk, north of Iraq, with the situation in Baghdad not improving. Meanwhile, the Kurdish officials have allowed many Kurdish families from Qamishli, Syria to move into Dohuk. These foreign Kurdish families have crossed the Iraqi borders and the KDP has secured for them food, shelter and all means possible to assist them to settle. Furthermore, the Kurds and KDP are forcing Assyrians to raise Kurdish flags in certain Assyrian villages and on top of Assyrian offices and homes in others. July 11, 2004 (Baghdad) — Terrorists entered an Assyrian Christian home while the parents were out and shot to death at point blank range Raneed Raad 16 and her sister Raphid 6. The Assyrian family has been threatened earlier; still, no measures were taken to protect it. July 11, 2004 (Baghdad) — Two Assyrian children from the Chaldean Catholic Church: Sami (6) and Rami (4) were killed in front of their home when rockets fell in their neighborhood in center of Baghdad. June 26, 2004 (10:00 a.m.) — Mosul. Two unidentified persons in a silver Opel throw a hand bomb at the Holy Spirit Church (al-Rooh al-Qudos) in the Akha' quarters in Mosul. The explosion caused injury to a women who is the sister of Fr. Ragheed, the church priest. She was taken to hospital. June 23, 2004 (Basra) — Two Assyrian sisters, Janet and Shatha Sadah Odisho (Audishow), aged 38 and 25, were shot dead in a car while returning home from work in Basra. The two sisters worked for Bechtel, a U.S. company. June 20, 2004 (Mosul) — Raymond Farouq Shimun (a 22 years old and son of Farouq and Juliet) was slain by the forces of evil in Mosul. His head was partially cut and his hands and legs were smashed. There was signs or effects of knife on his body, which suggest that he was terrified and suffered before he died. His body was thrown in a cemetery (a valley outside the city), after he was kidnapped on June 17 (about 8:30 pm by five armed men not far from his home). June 16, 2004 (Sulaymaniya) — Edmond Anwar (Sulaymaniya) Lost a lot of money and merchandize when his alcohol and cigarette shop was robbed. June 10, 2004 (Baghdad) — Janan Joseph, an Assyrian Christian, was shot and killed inside his home in al-Mansour quarters along with ten more Christians in the quarter. May 28, 2004 (Baghdad) — Ashor Goriel Yalda killed in his car with a grenade while on his way to work. March 26, 2004 (Kirkuk) Lieutenant Romeo Esha David, a member of the Assyrian Democratic Movement, was killed in his home. March 22, 2004 (Baghdad) Zinda Magazine reports that an Assyrian elderly couple, Ameejon Barama and his wife Jewded were brutally murdered in their own home by militants in the town of Dora, near Baghdad, Iraq. The husband's throat was slashed and the wife was struck repeatedly to the head. 5. The older daughter, Shmoni, survived as she was in Dohuk. Her daughter severely wounded. Wife of Farid is also severely wounded. Members of the Kurdistan Students Union are indulging in activities that do not reflect democratic practices. On February 17, 2004 at the Ankawa Boys High School, a group of students from the Kurdistan Students Union entered classes against all rules and regulations and while classes were in session and distributed applications to students to join the Kurdistan Students Union. The ChaldoAssyrian Students and Youth Union protests such inappropriate, illegal, and unfair activities that interfere with the students' studies. February 11, 2004 (Mosul) The Associated Press reports that Gunmen firing from a car attacked an office of the Assyrian Democratic Party in Mosul, injuring one security guard, according to party member Napoleon Fatou. January 25, 2004: Bahra Newspaper reports that Dr. Sarmad Samee was shot in Basra. when his car was meet with sprays of bullets near the dentistry college of Mosul. The district Mayor lives in the village of Telkepeh which has had its Christian population drop from 98% to 50% with 4 mosques built in and a fifth underway. October 20, 2003 (Kirkuk) — Zinda Magazine reports that a rocket-propelled grenade hit the office of the Assyrian Democratic Movement in Kirkuk on Sunday. Jevan Jerges, 29 was injured in the attack. October 7, 2003 (Mosul) — Safa Sabah Khoshi killed (and his cousin Mr. Meyaser Karim Khoshi critically injured) when his liquor store was attacked by RPG grenade. August 19, 2003 (Tikrit) — Nadan Yonadam of Modesto, killed while working with the U.S. Army as a civilian translator. July 19, 2003 (Mosul) — A 16 year old girl, Hilda Zuhair Istifan, was kidnapped in front of her home in the Muthana district of Mosul. The kidnapping was conducted by Muhamad Thiya Al-din Jasim, a cousin of Saddam Hussain, and the son of high ranking army official in Saddam's army. Muhamad's unlce was the director of Saddam terrorist army group, Fida'yeen Saddam. July 17, 2003 (Baghdad) — Husam George Tobeya, 31 years old, married and had one son. He was shot dead at a gas station in Baghdad. Consequently, his wife left Iraq. She and her son are currently in Jordan waiting to immigrate to the United States.